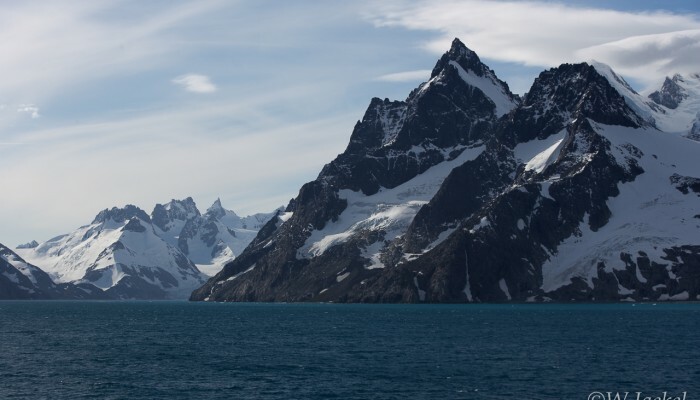 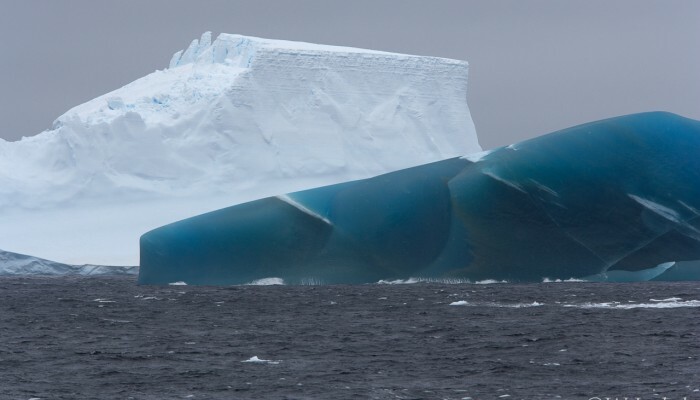 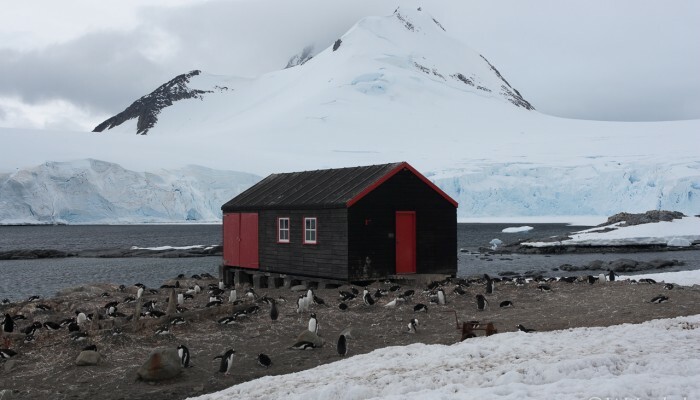 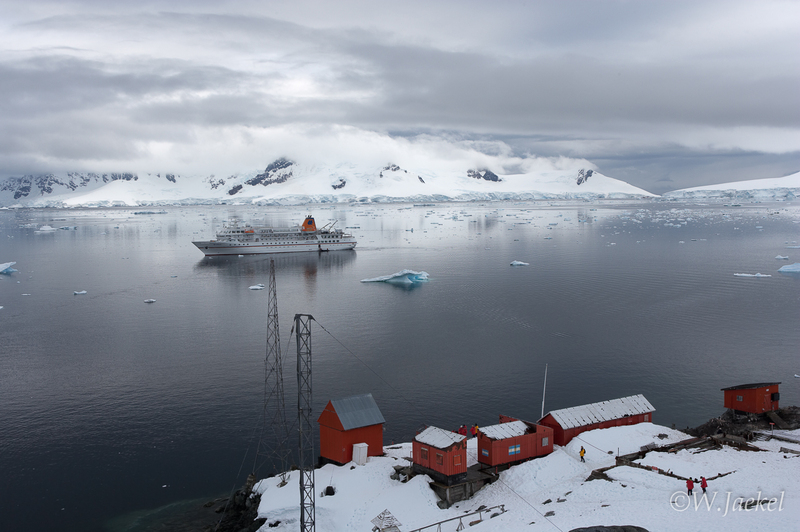 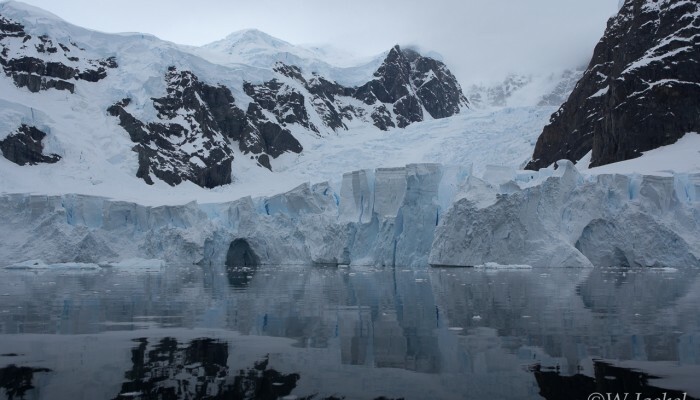 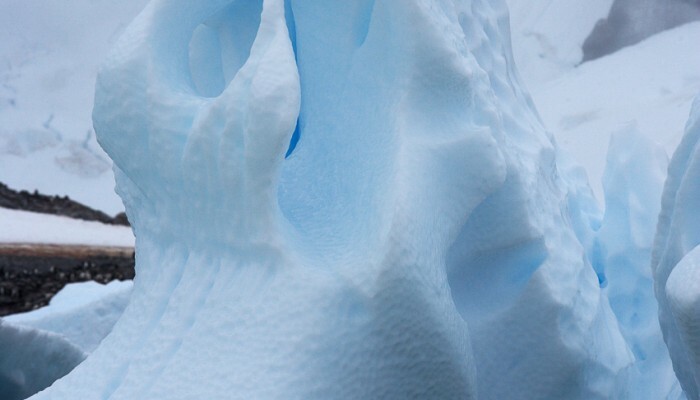 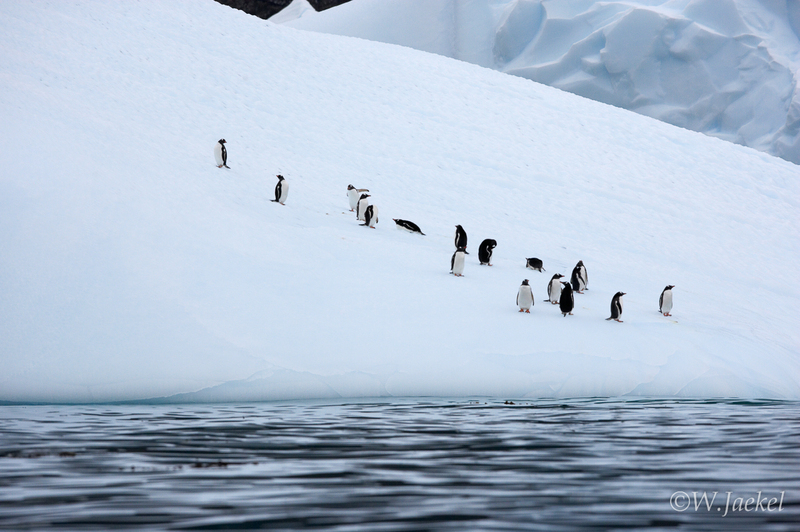 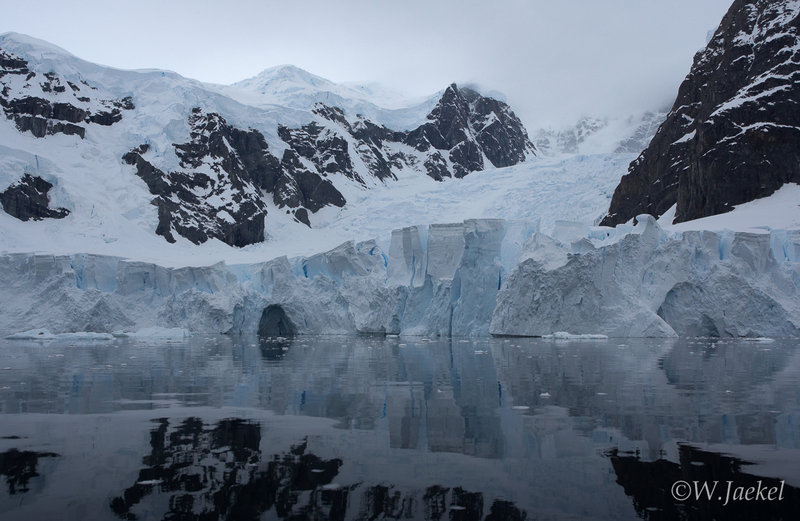 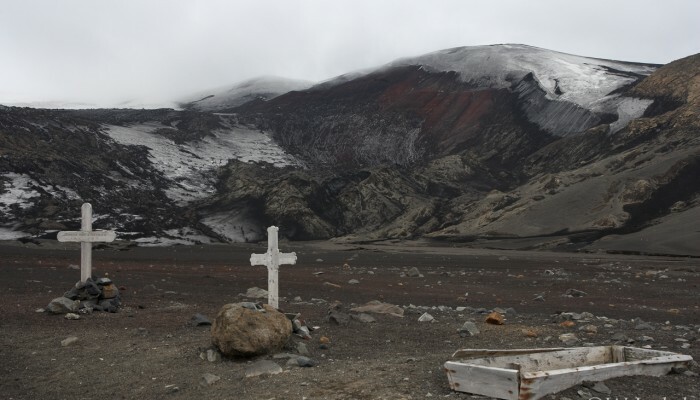 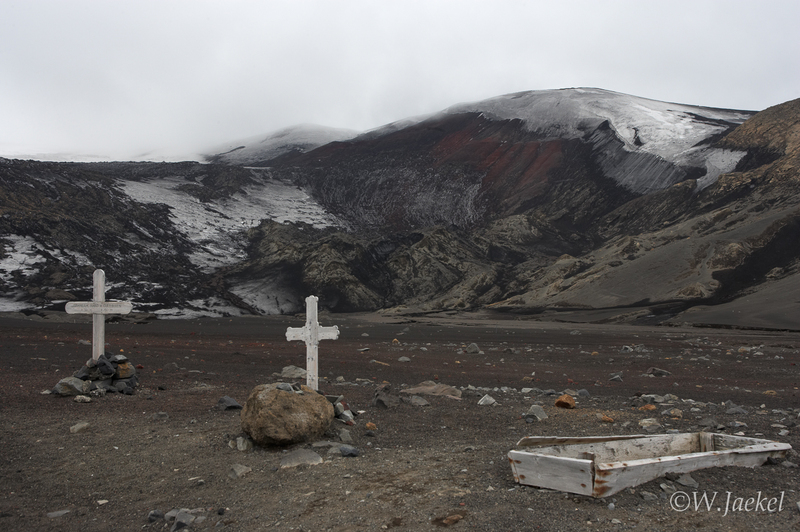 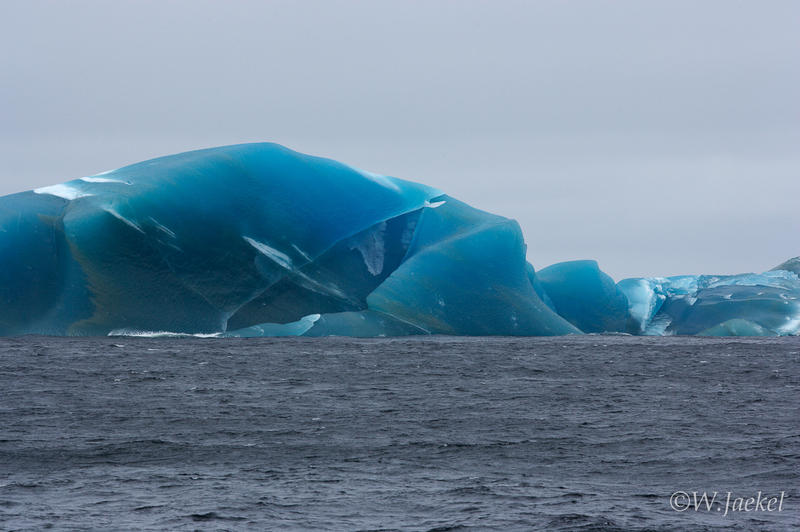 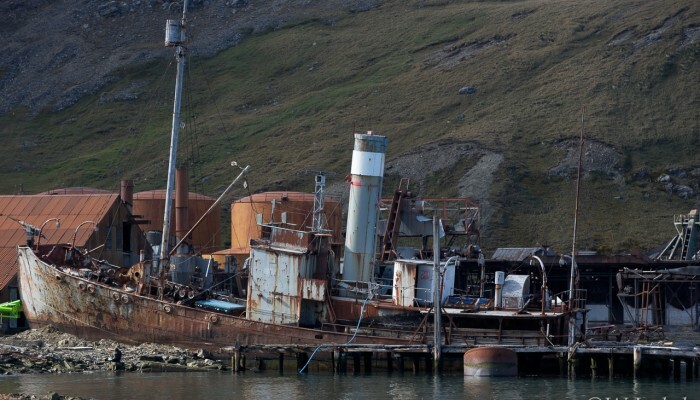 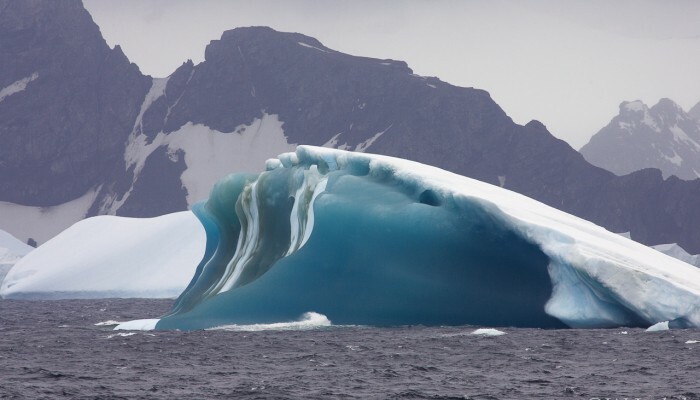 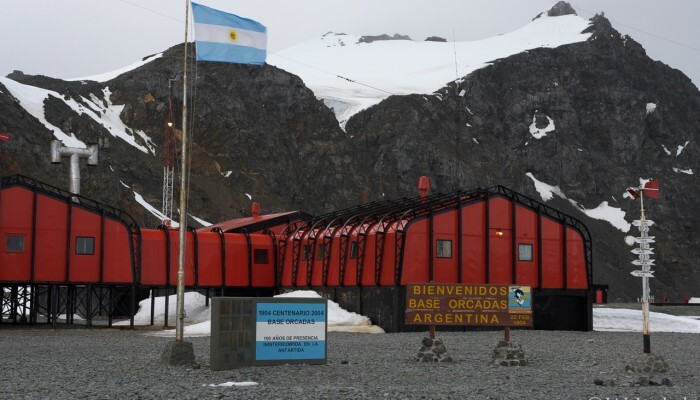 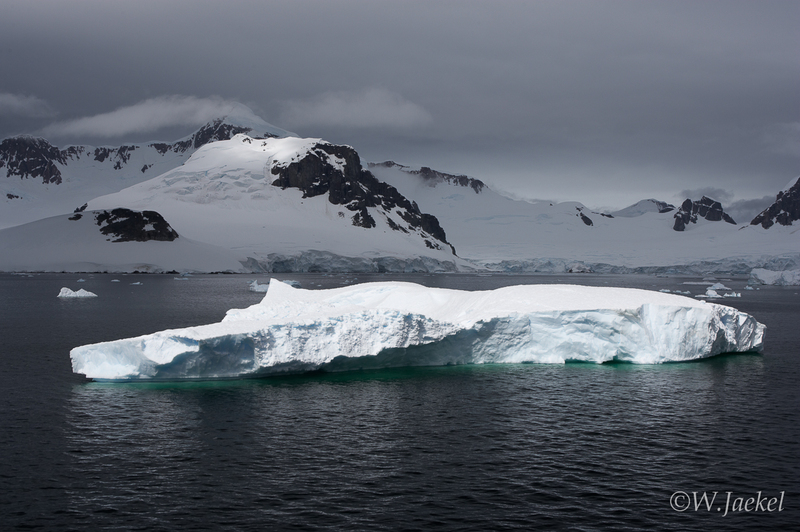 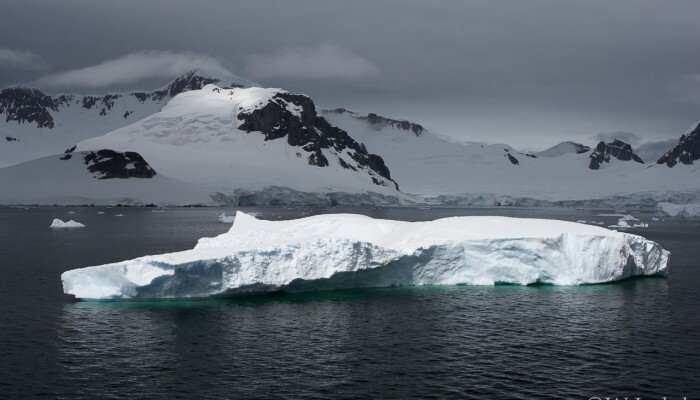 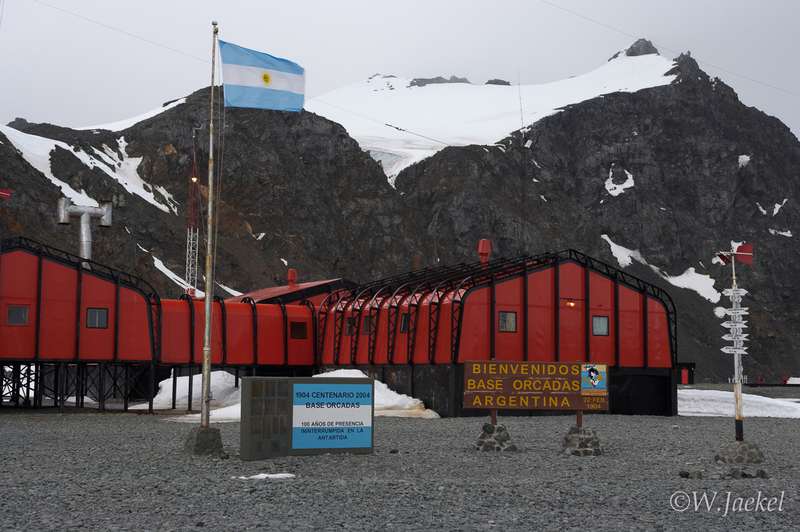 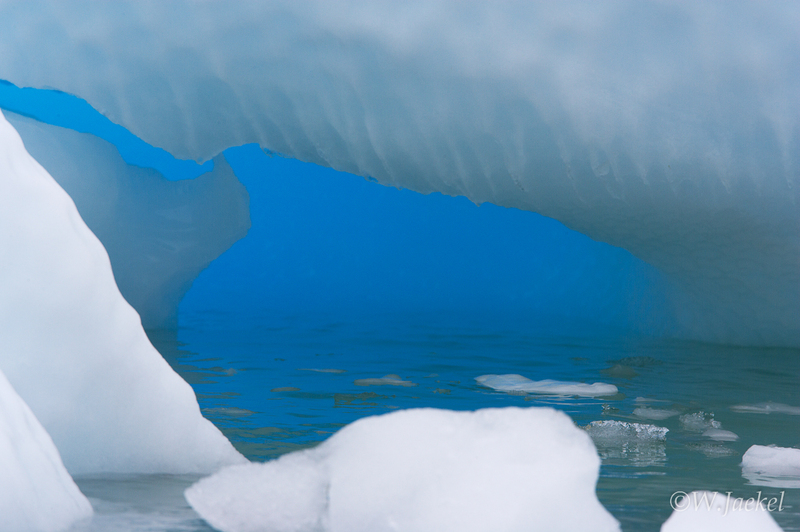 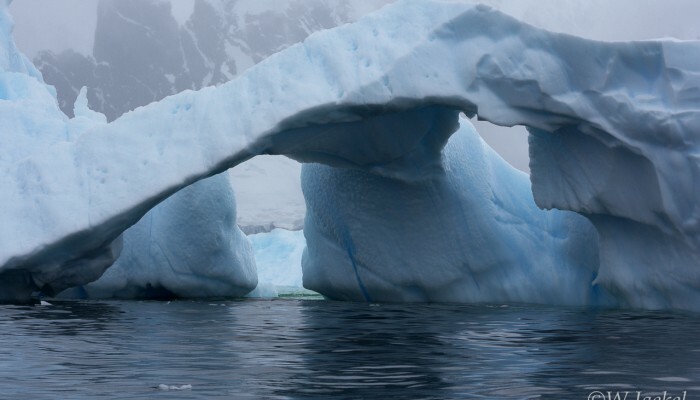 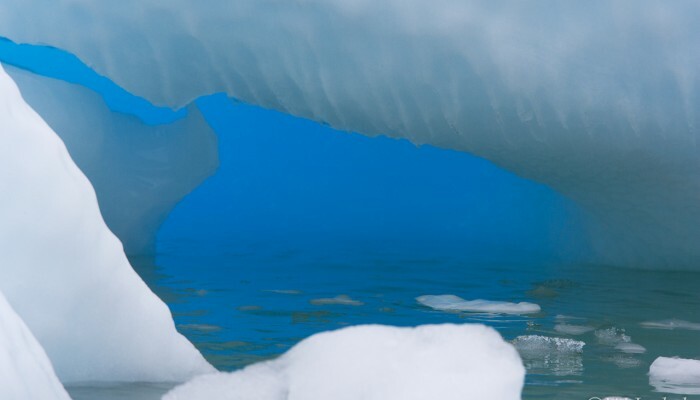 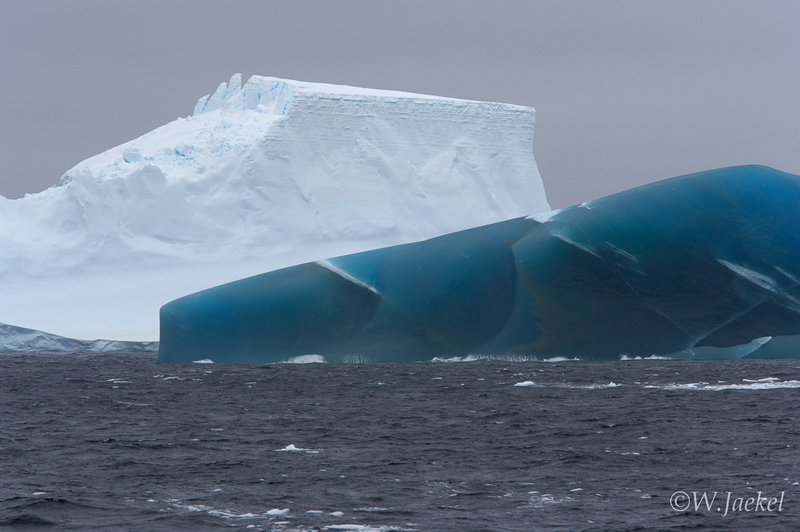 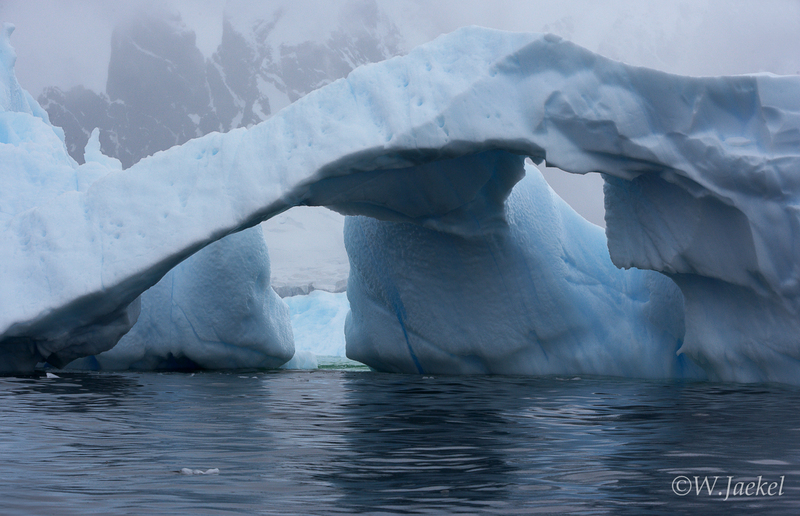 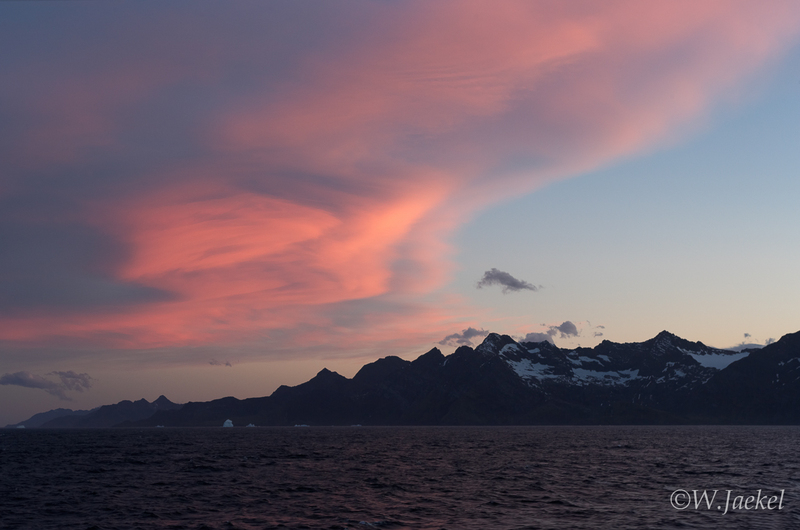 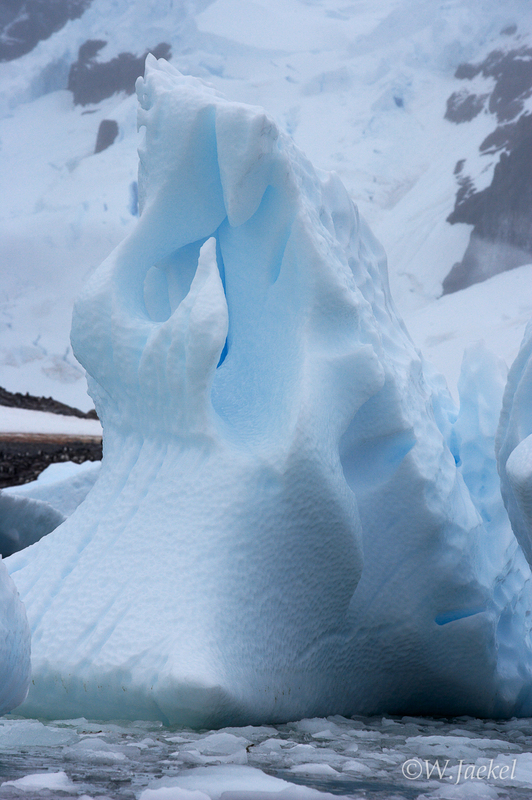 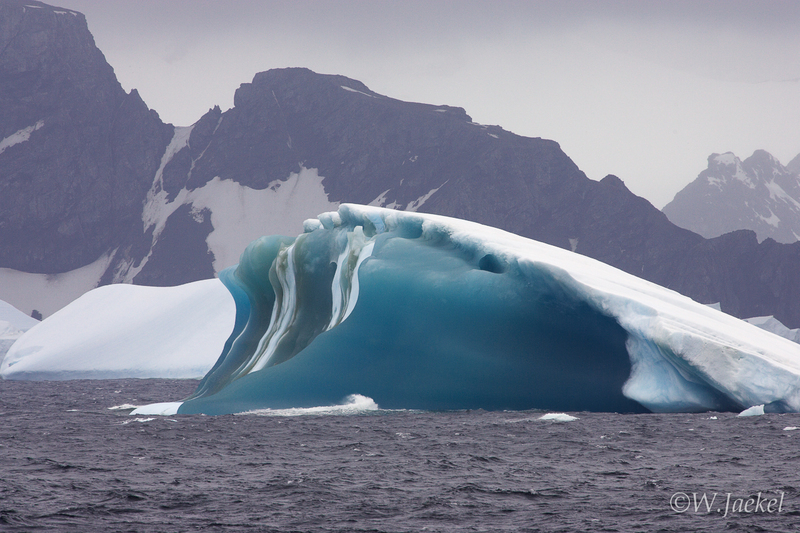 A voyage to Antarctica is truly a once in a lifetime experience. 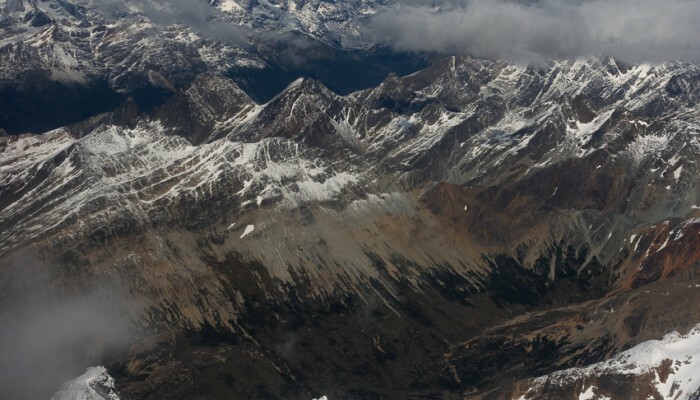 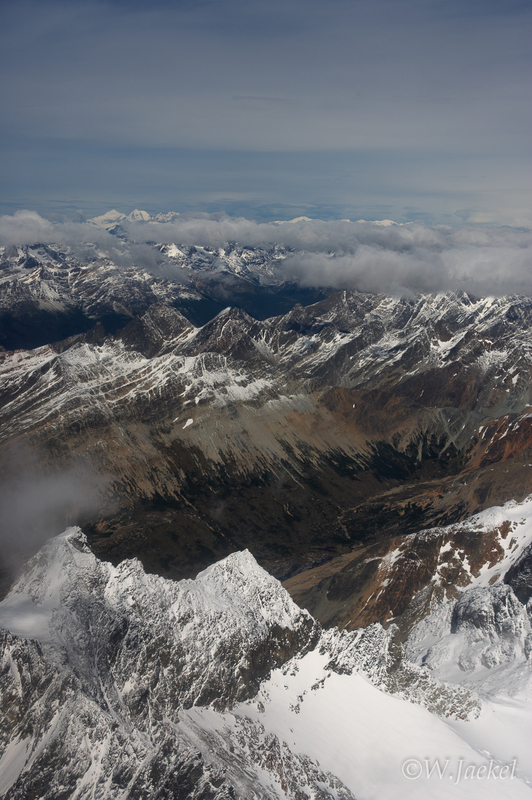 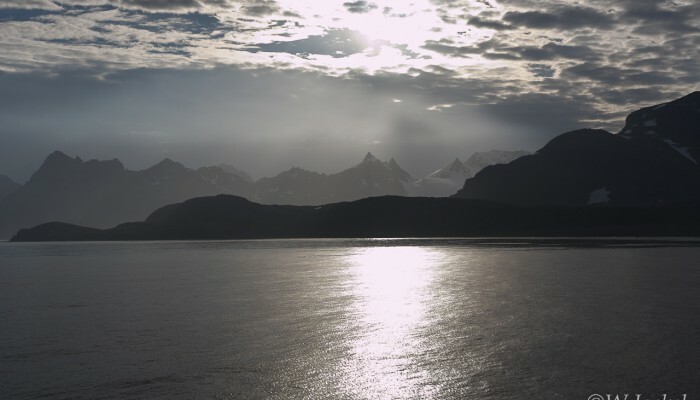 It offers nature and wilderness in its purest state. 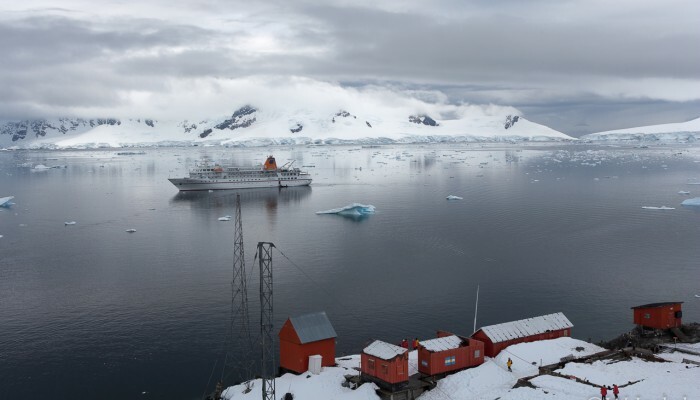 So in December 2004 a dream came true when I could join an expedition cruise aboard “M/S Bremen” to the southernmost and frozen continent. 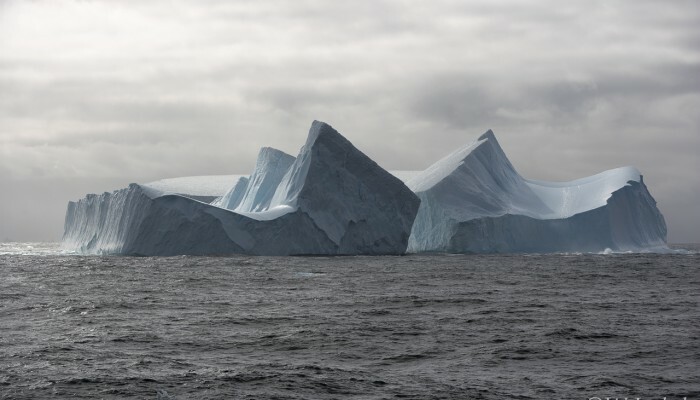 Though it was pretty obvious that this trip wouldn’t be addressed to the special needs of professionals or serious photographers at the same degree as other expedition voyages, I was very happy to get this unique chance. 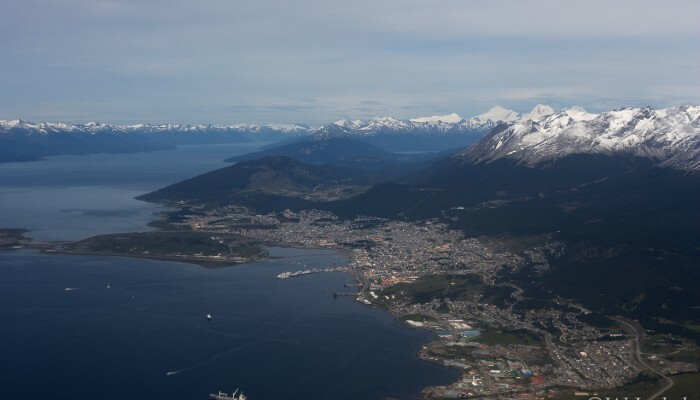 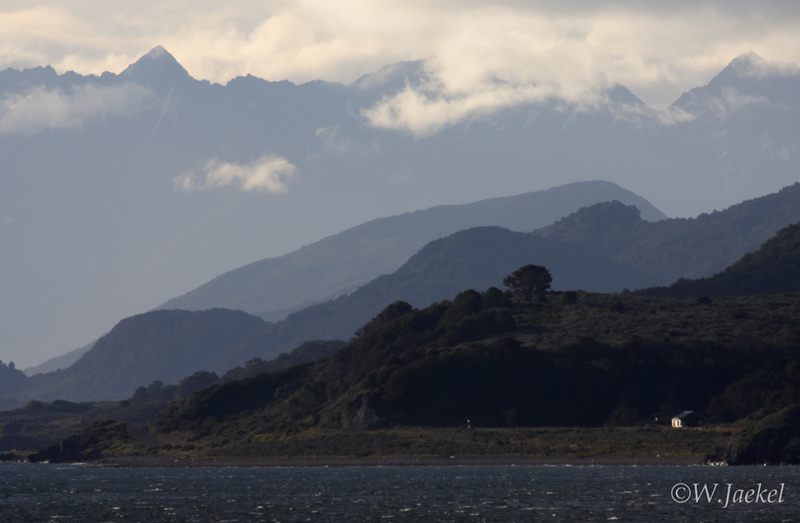 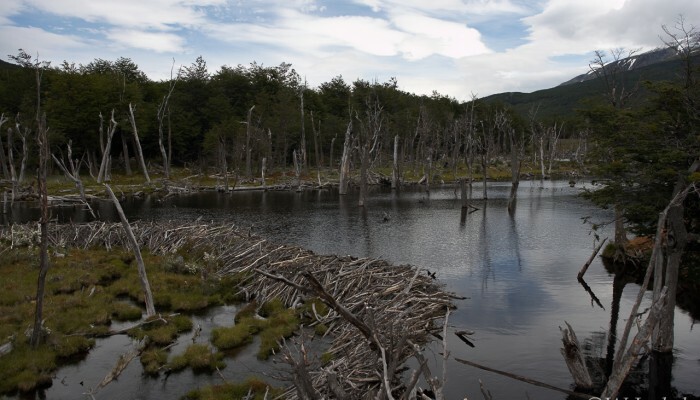 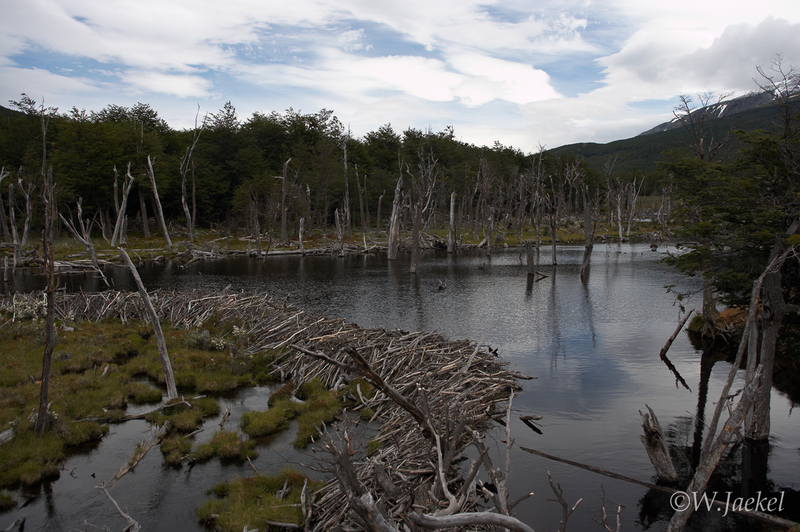 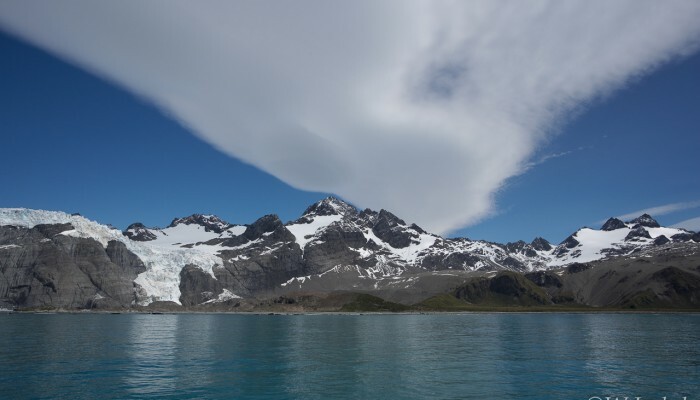 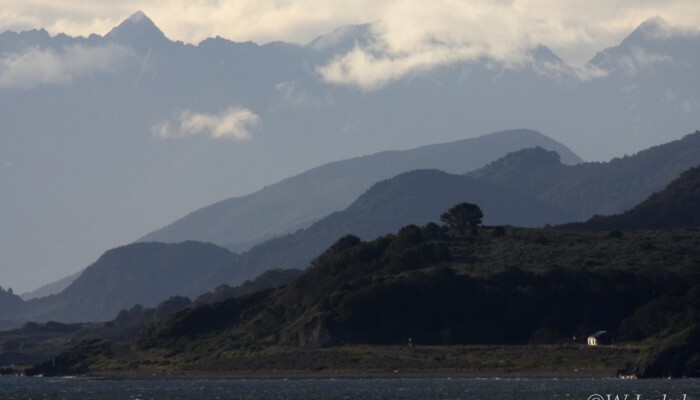 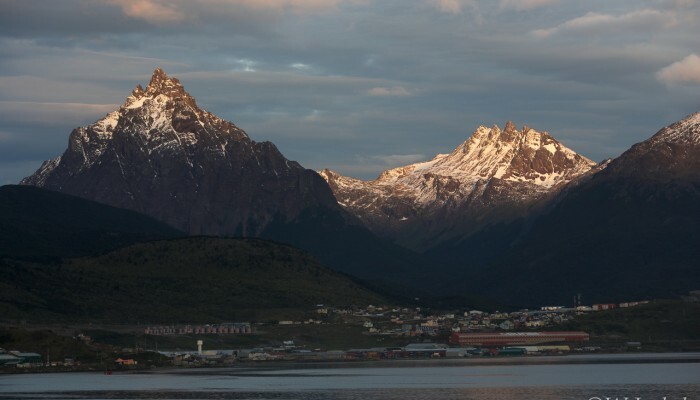 After a short visit to the Tierra del Fuego National Park (Fireland NP) we embarked in Ushuaia, often regarded as “city at the end of the world” with the silhouette of the Andes Mountain Range as background. 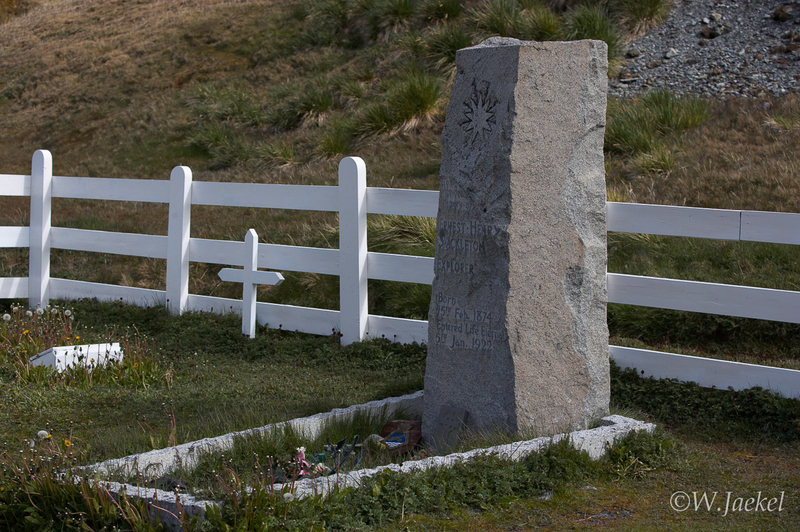 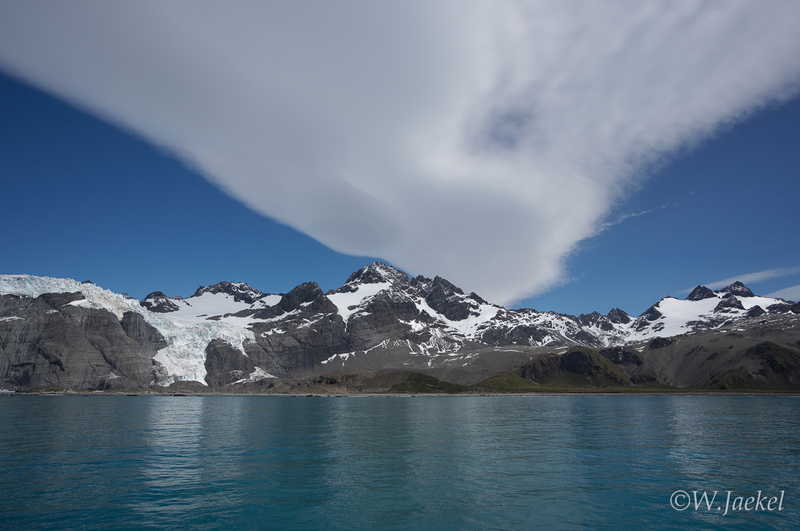 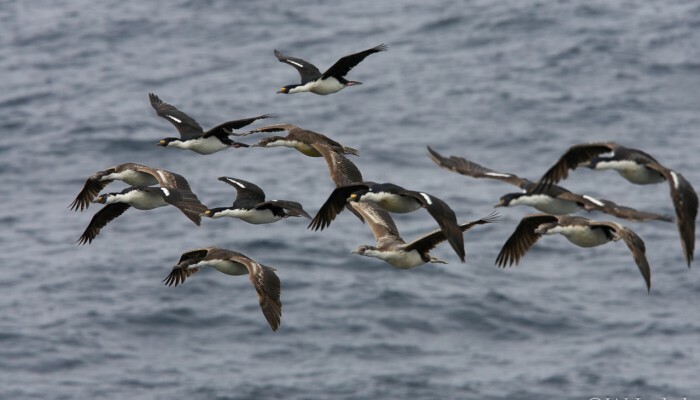 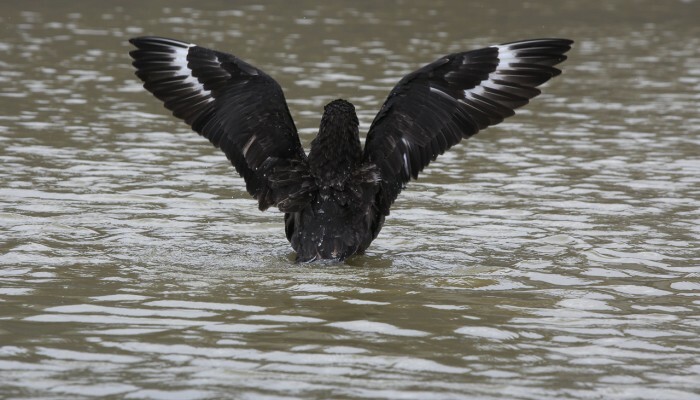 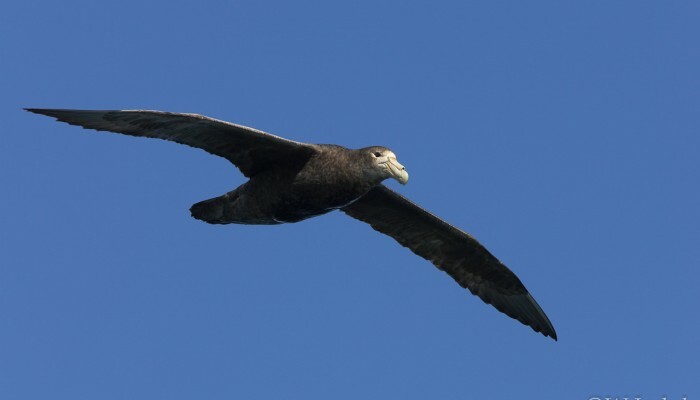 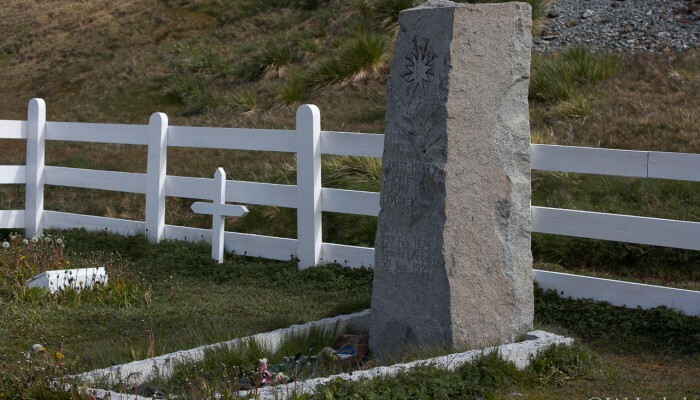 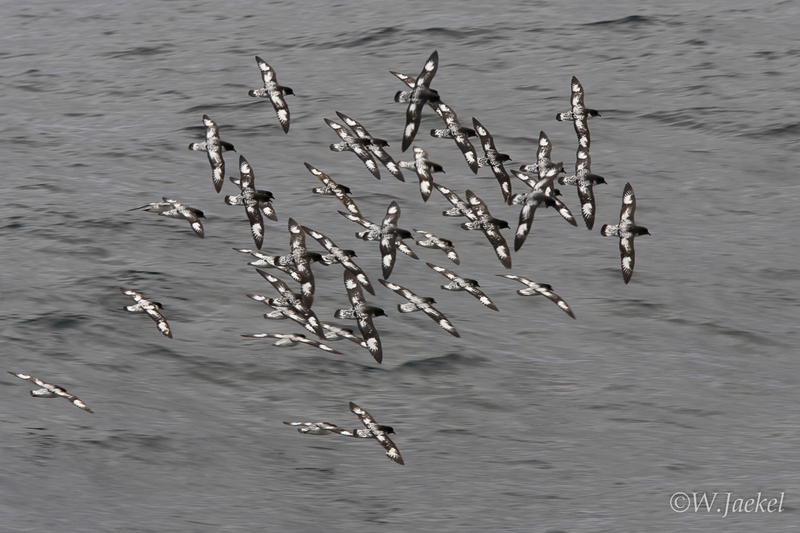 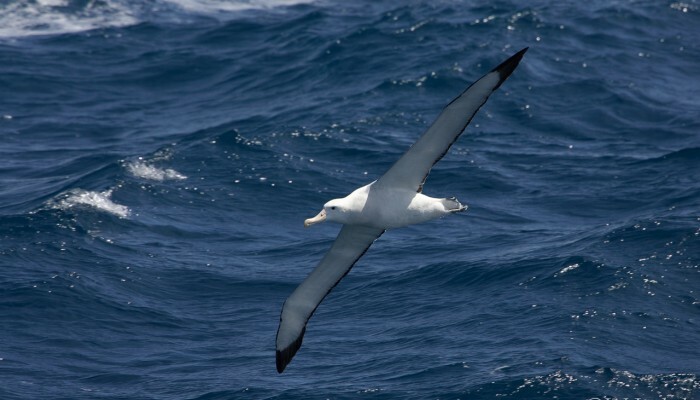 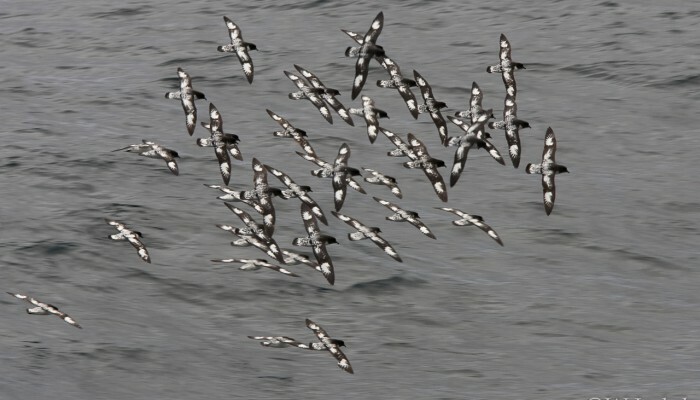 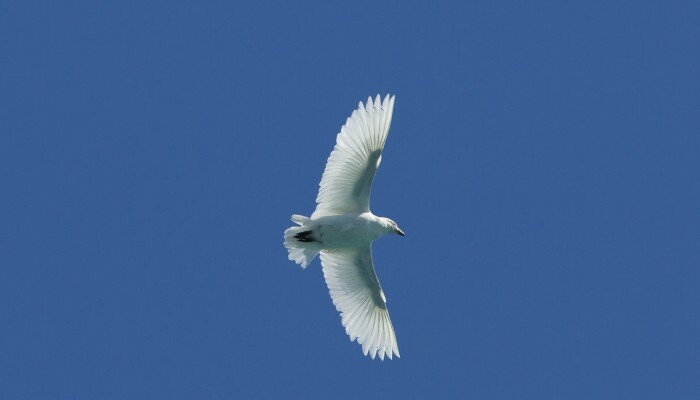 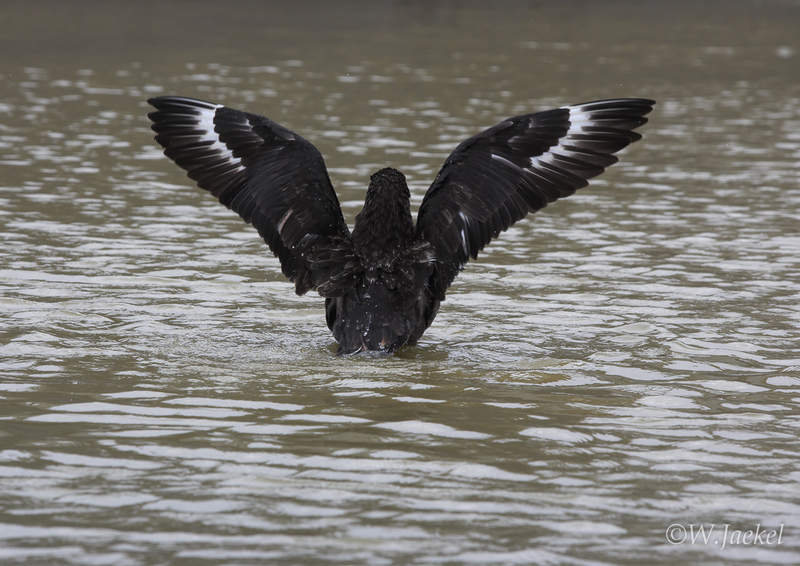 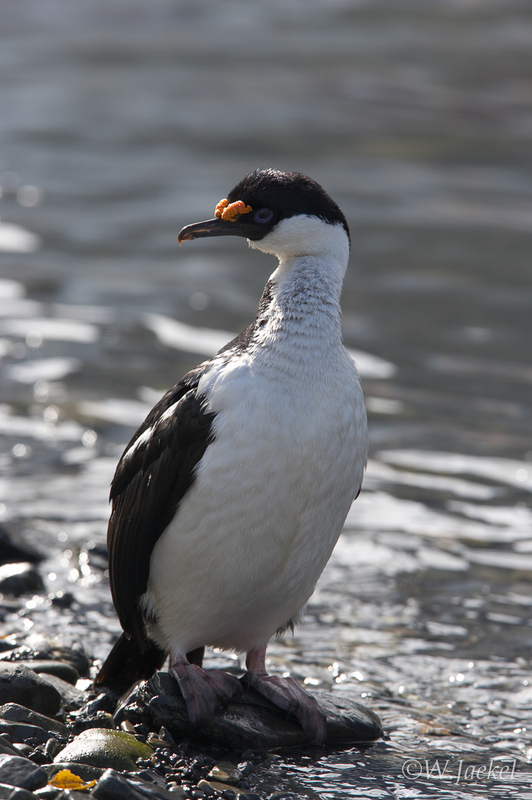 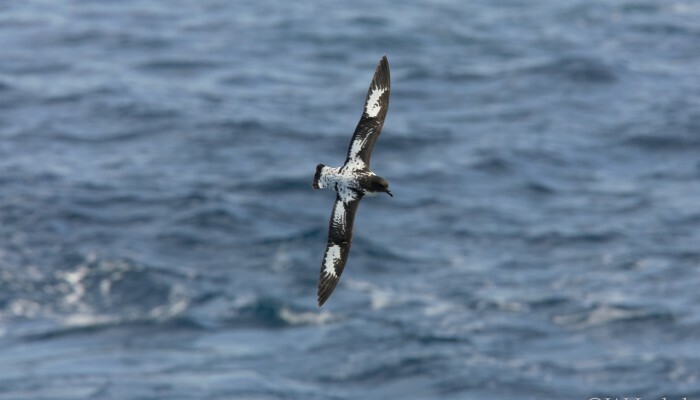 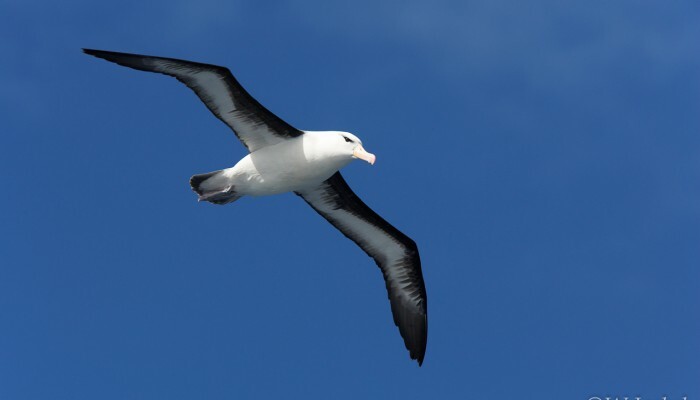 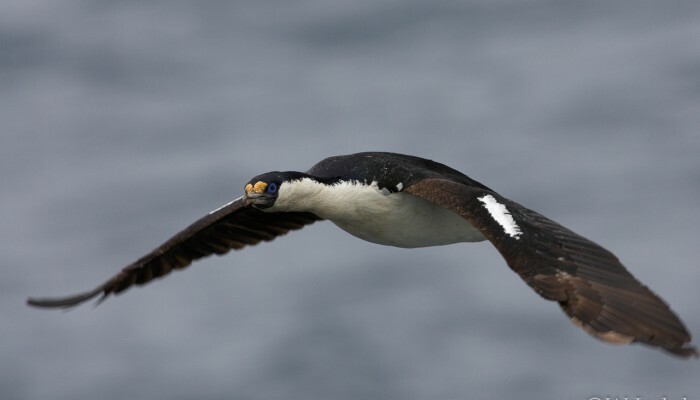 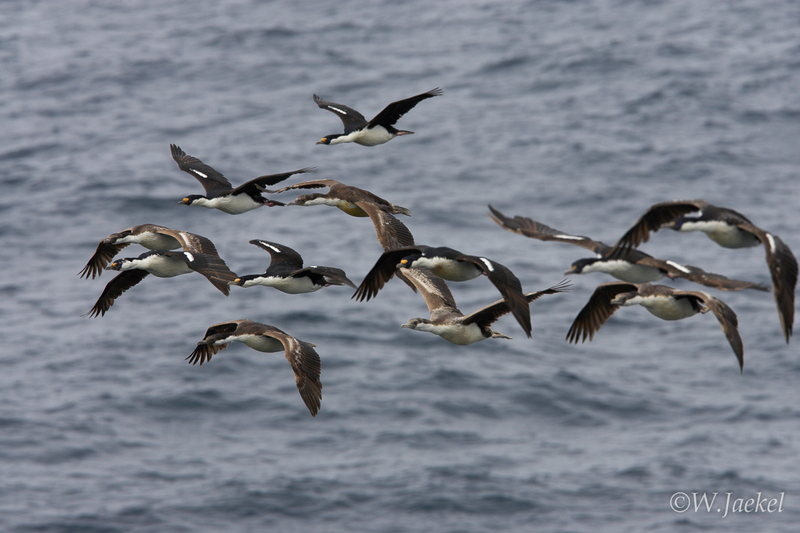 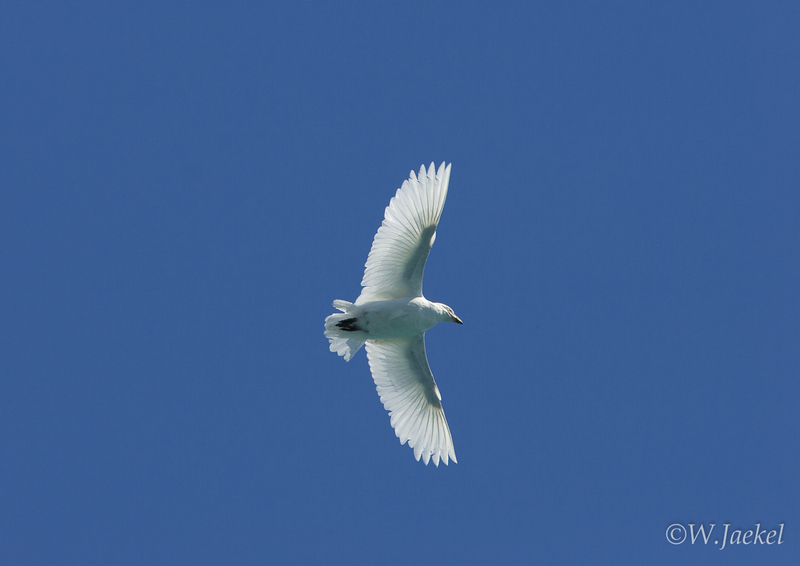 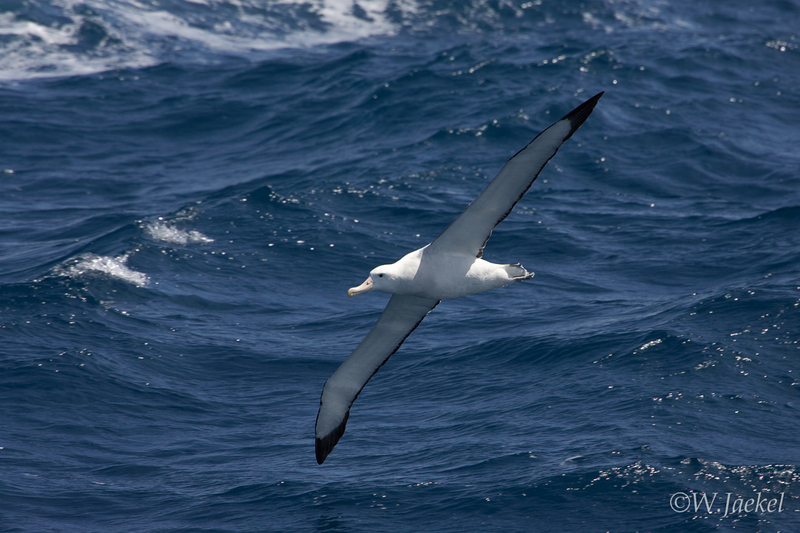 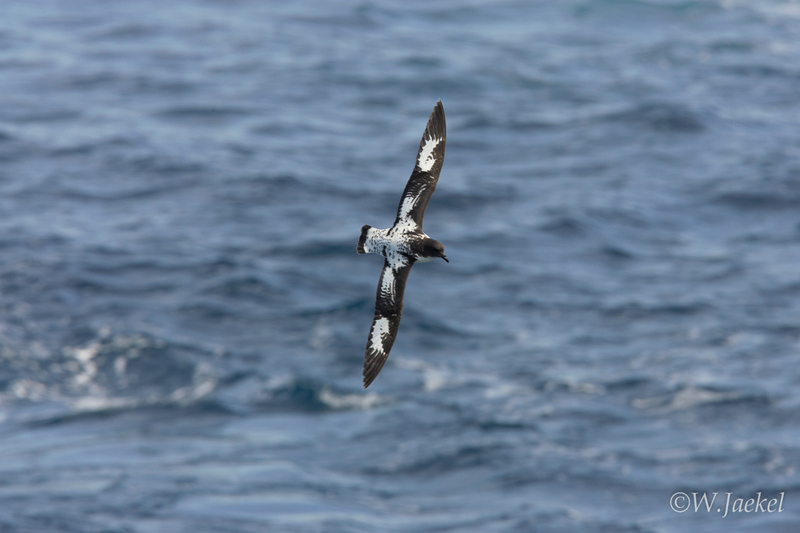 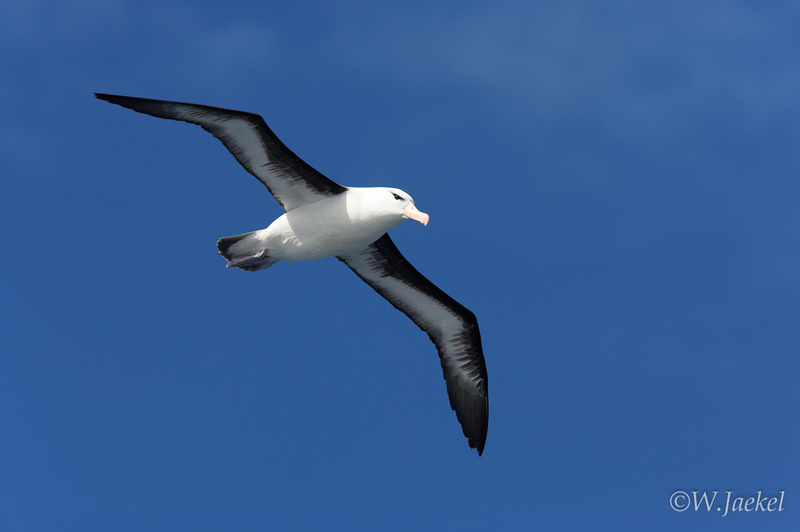 We travelled through the sheltered waters of the Beagle Channel and into the south Atlantic to the Falklands onto South Georgia, escorted by Albatrosses, Petrels and Shearwaters. 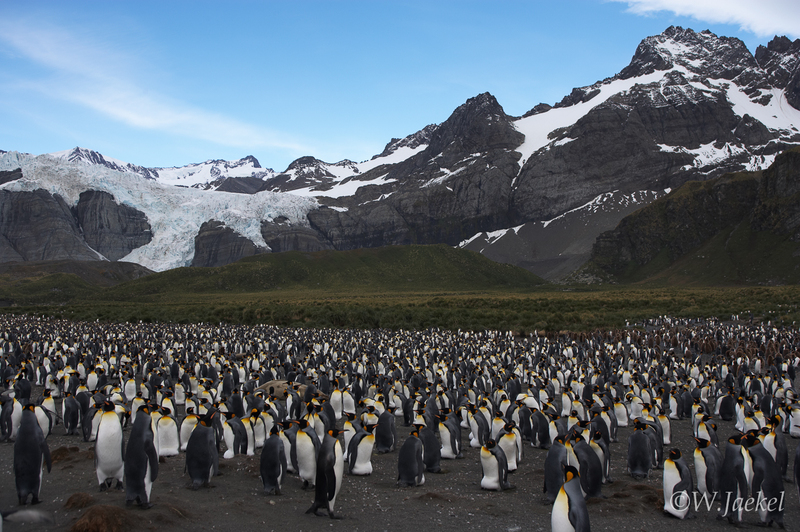 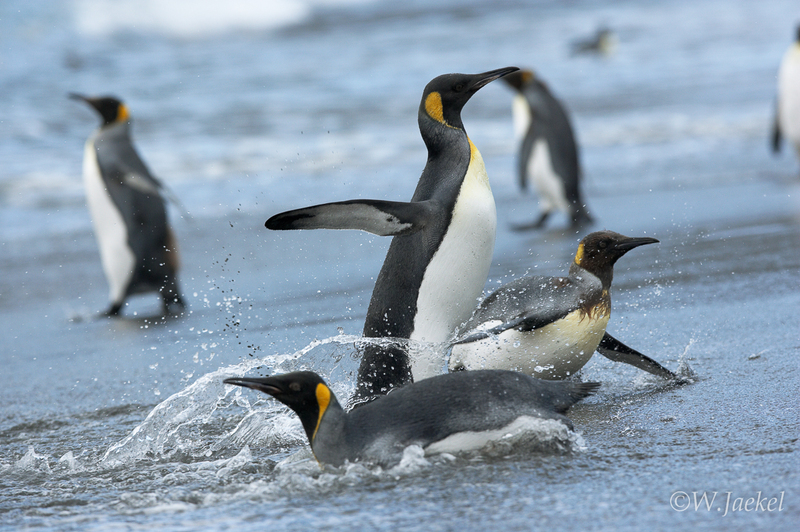 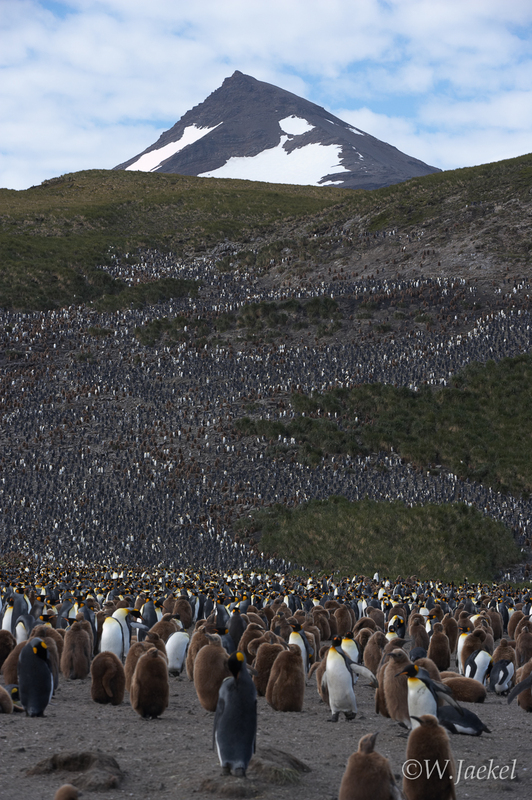 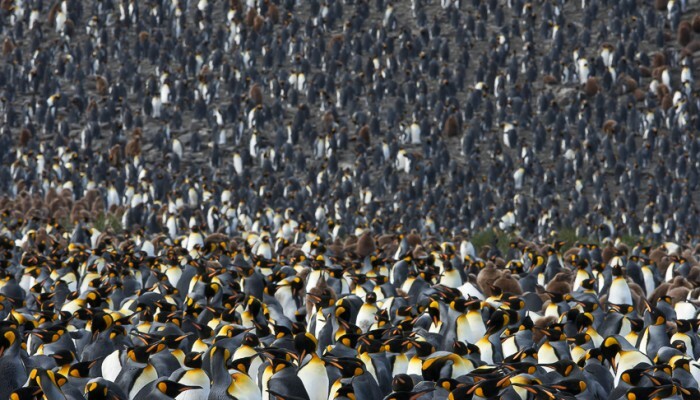 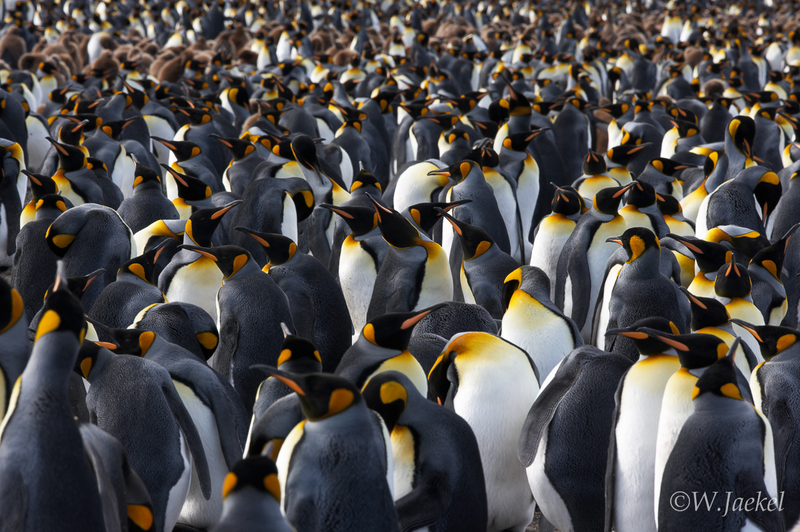 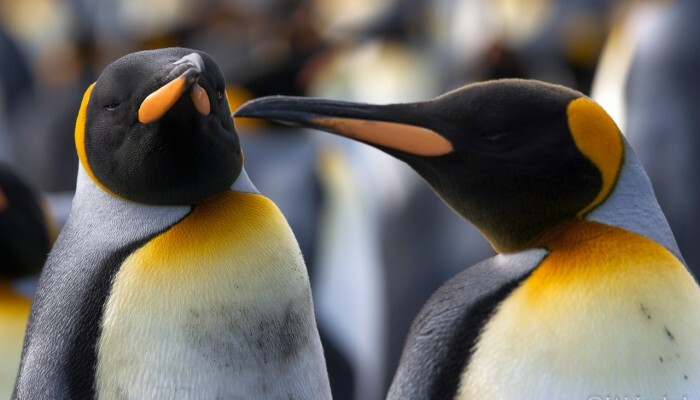 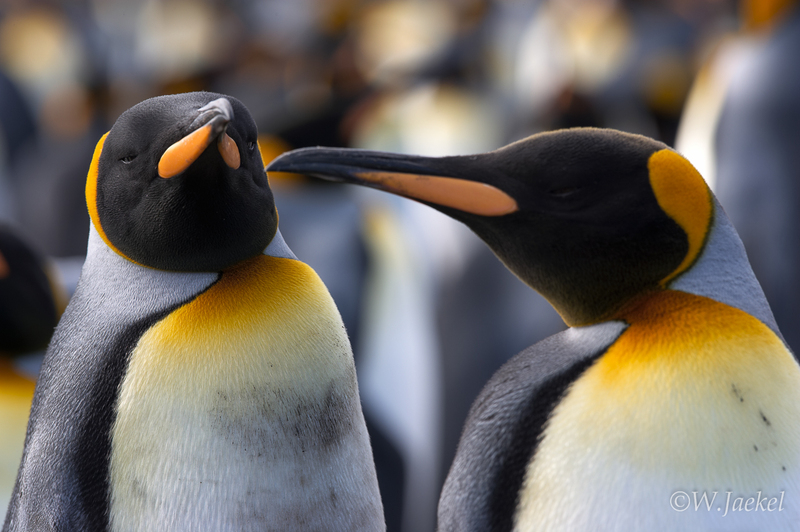 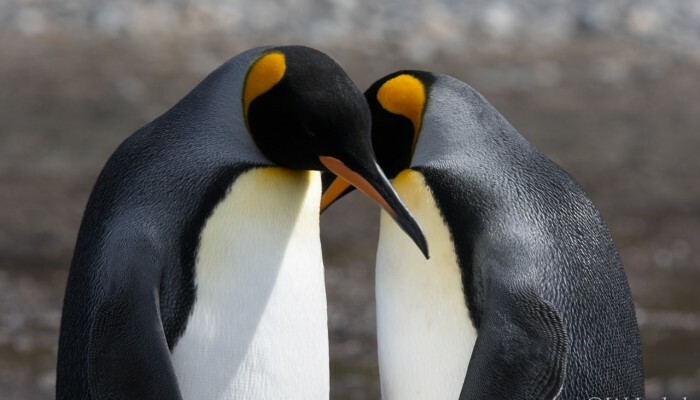 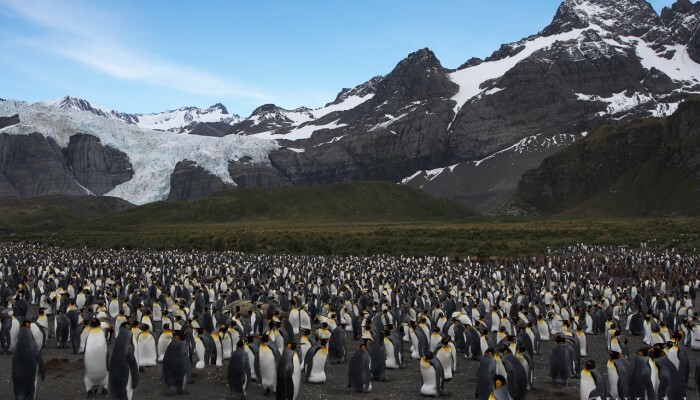 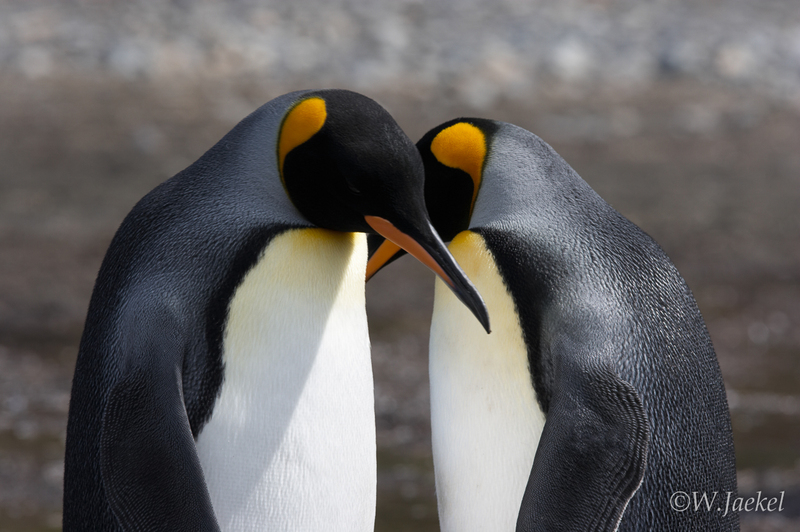 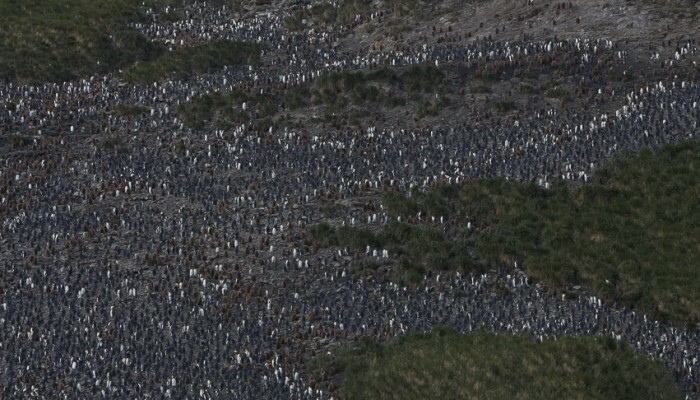 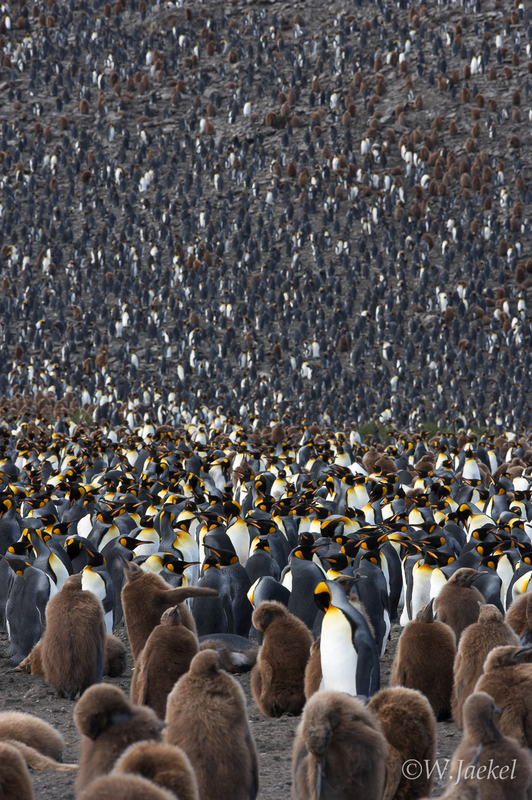 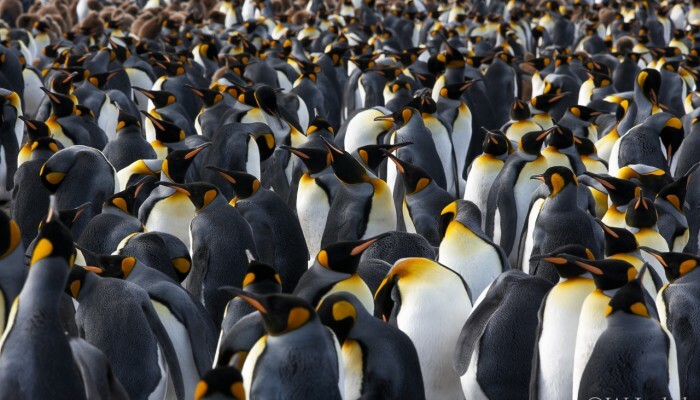 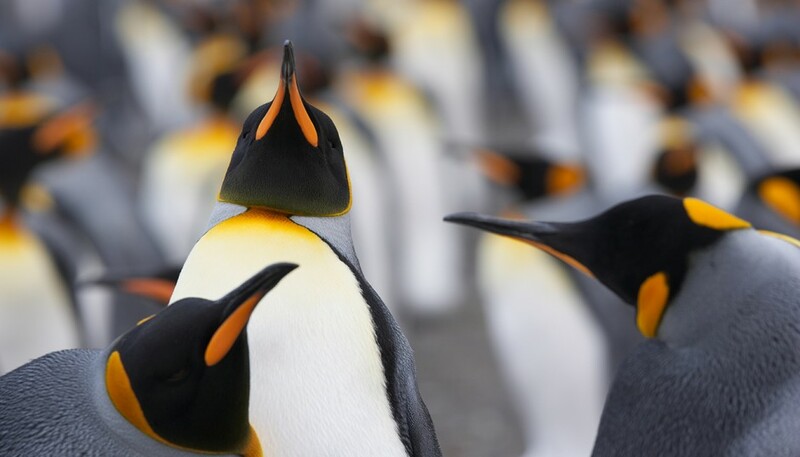 Facing hundreds of thousands of King Penguins against the dramatic background of South Georgia’s snow covered peaks is an overwhelming and unforgettable experience. 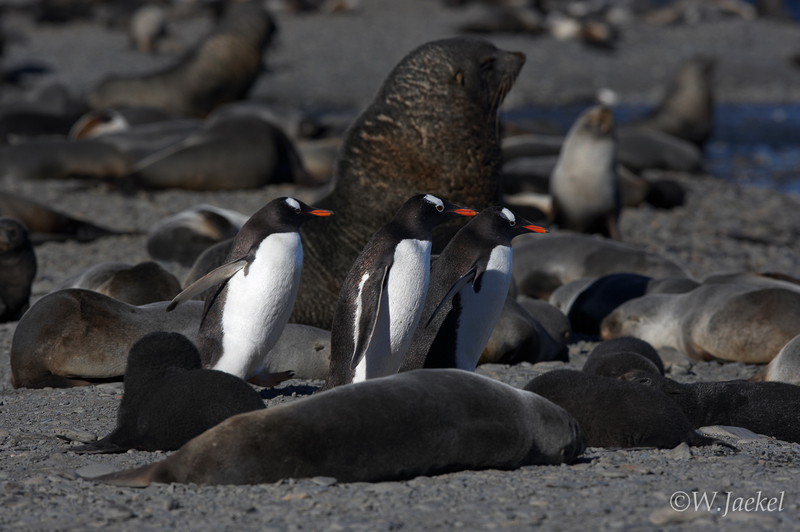 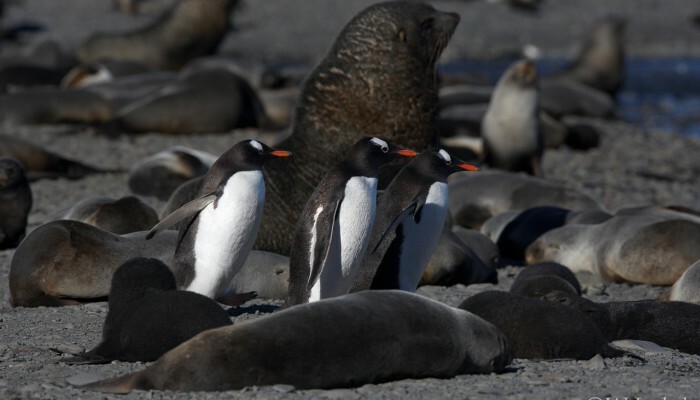 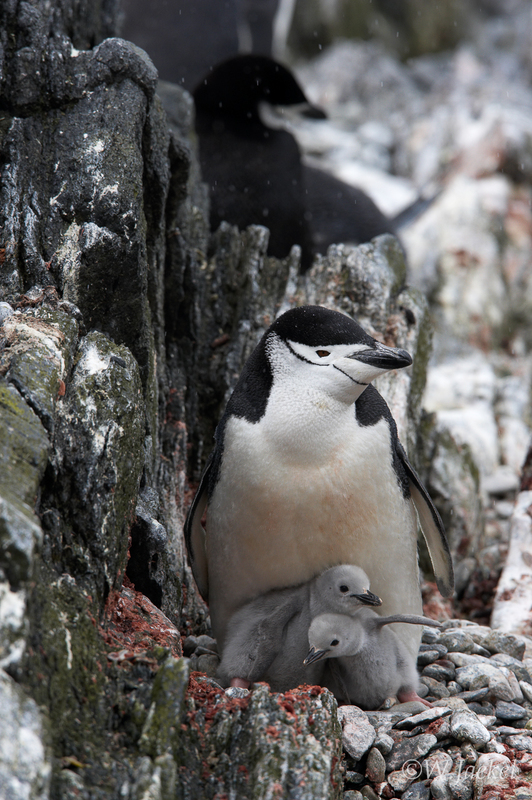 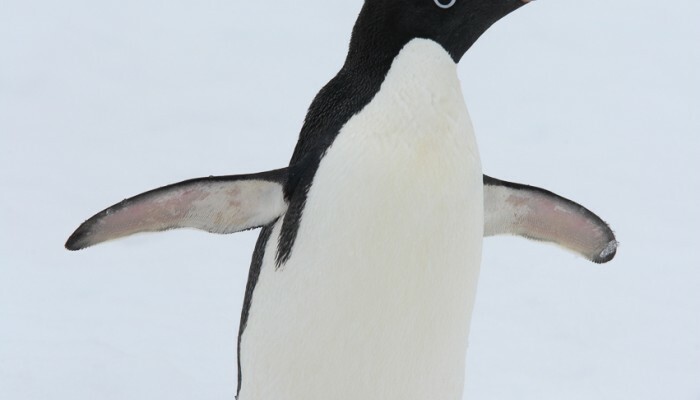 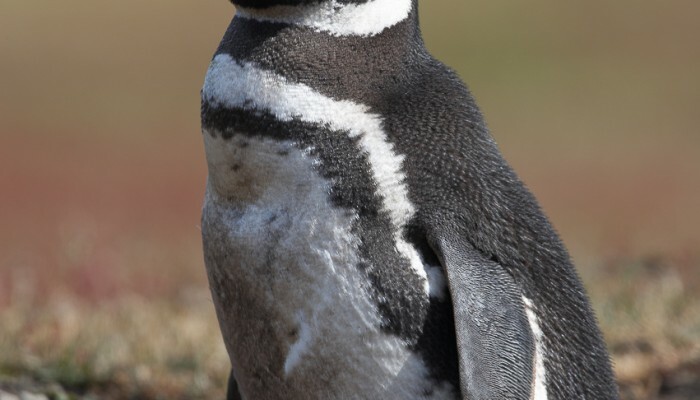 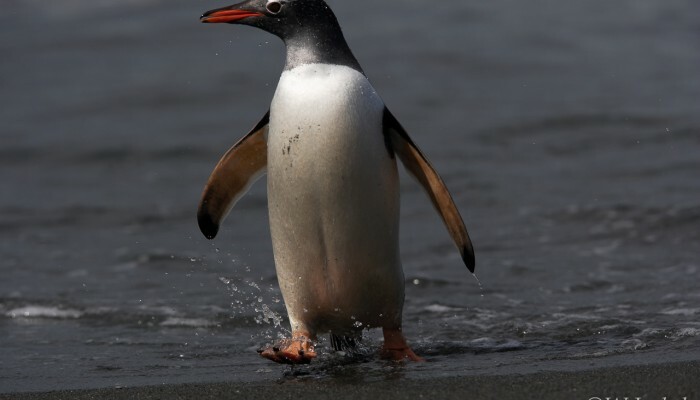 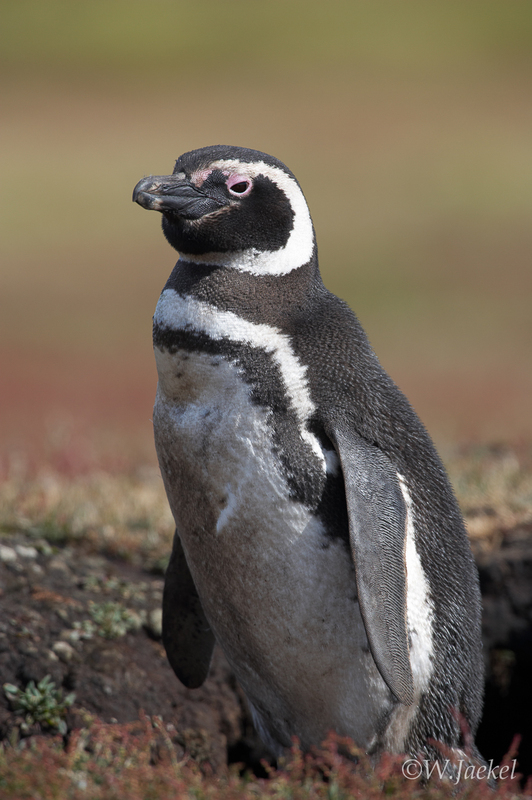 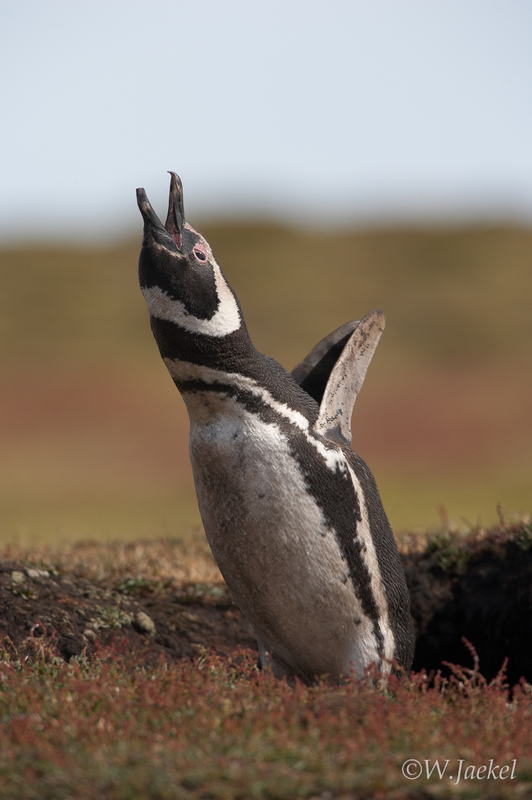 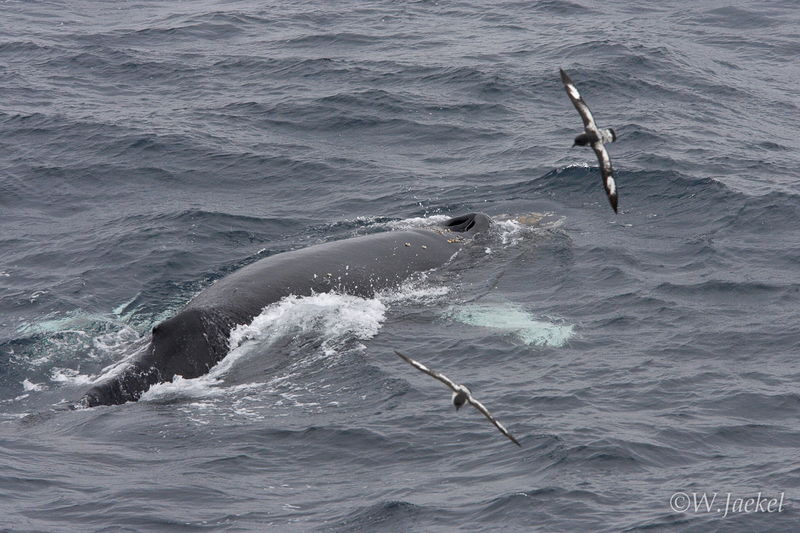 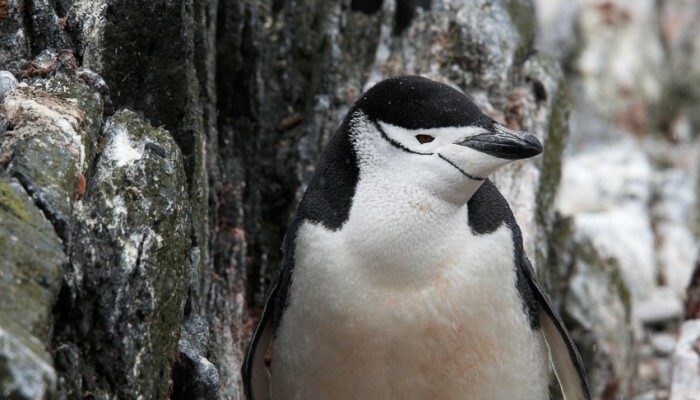 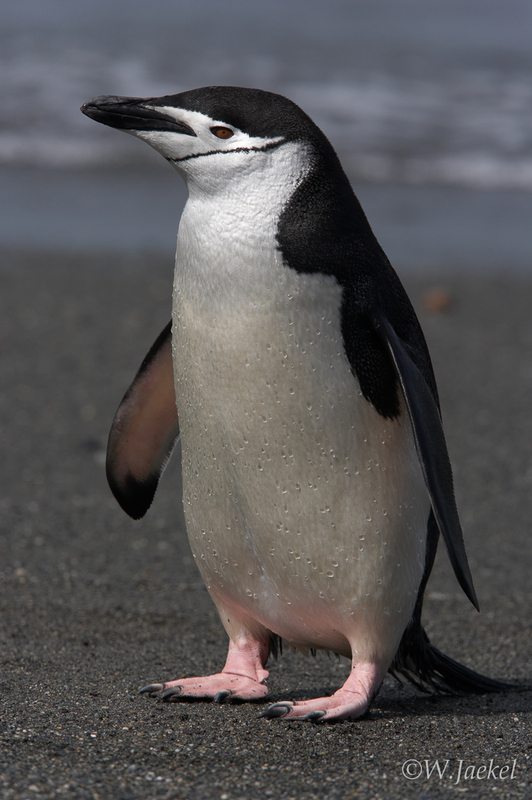 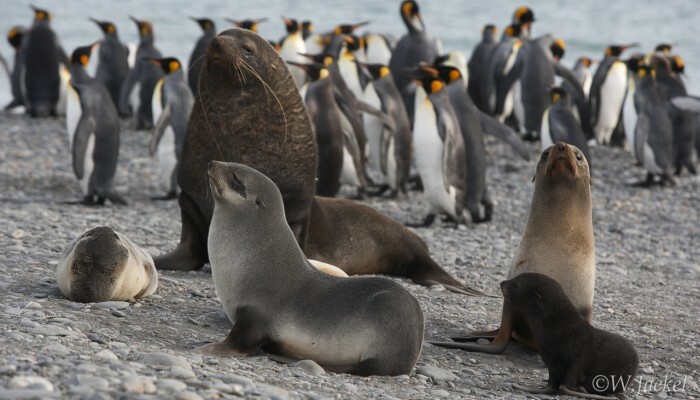 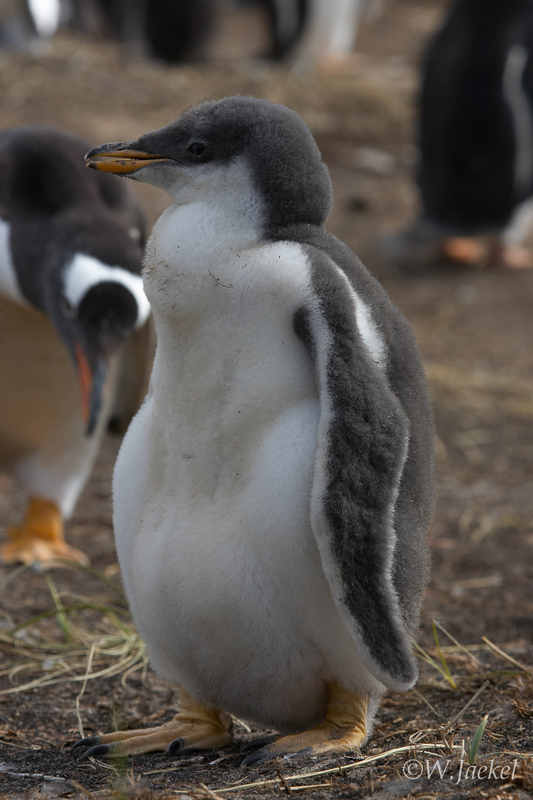 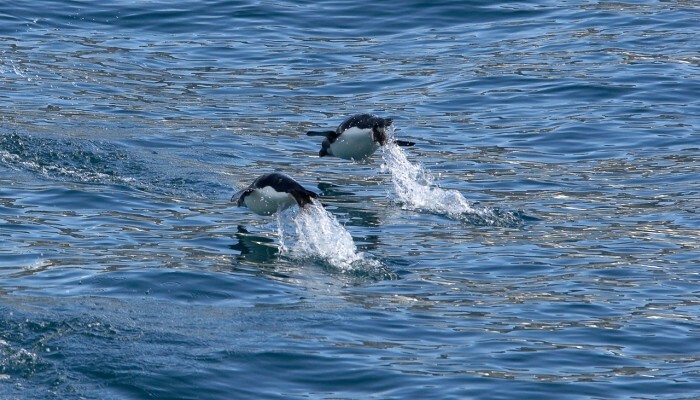 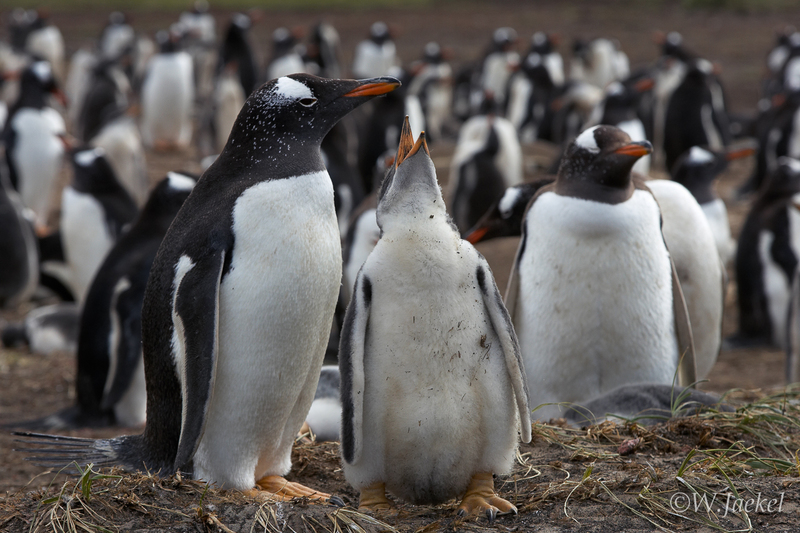 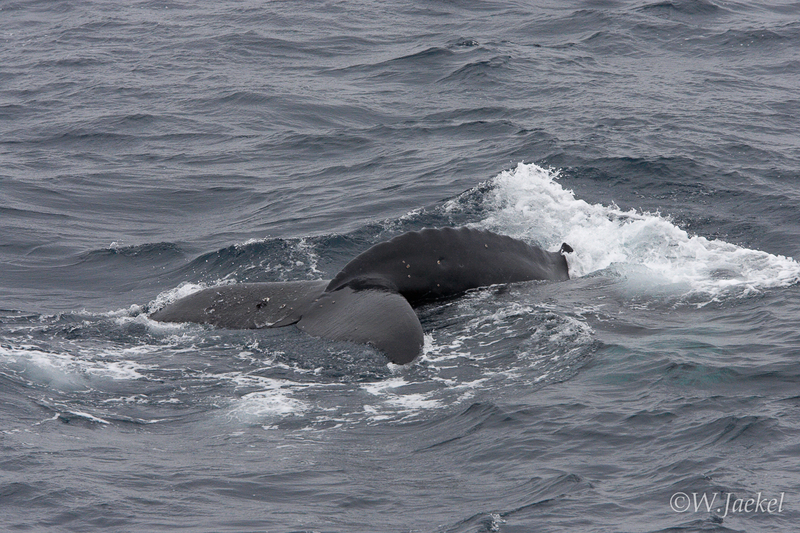 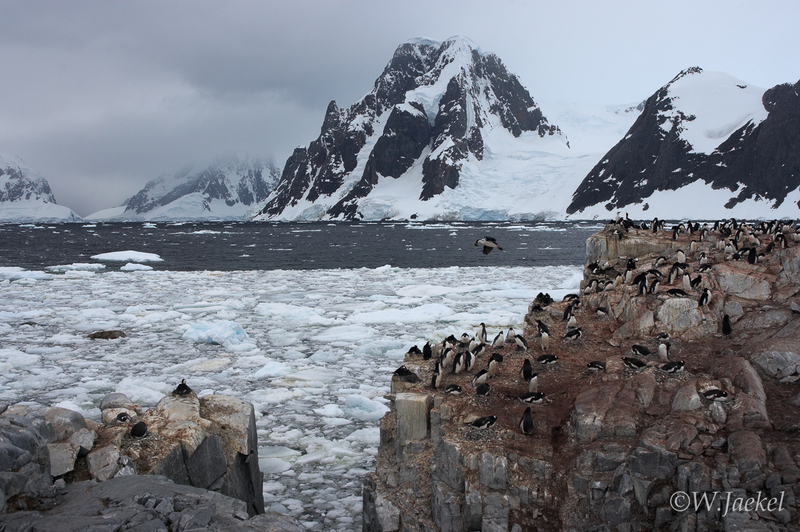 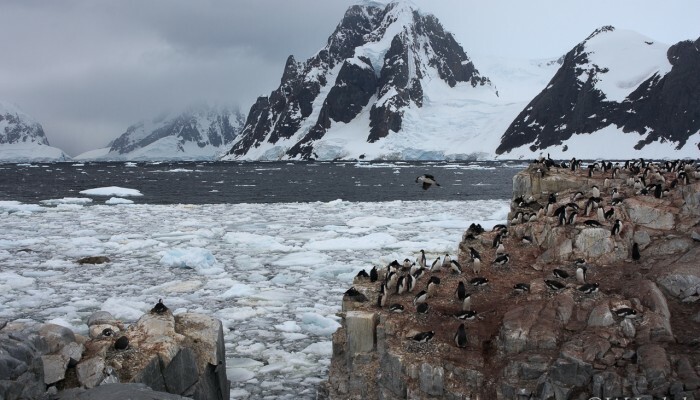 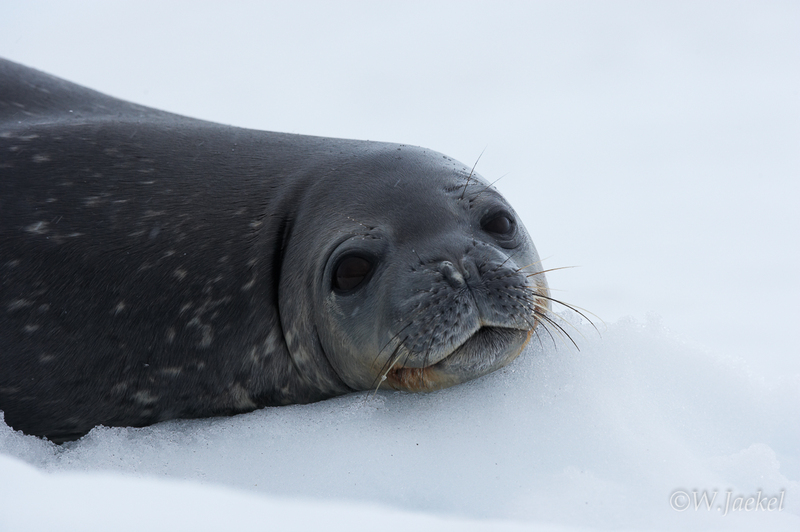 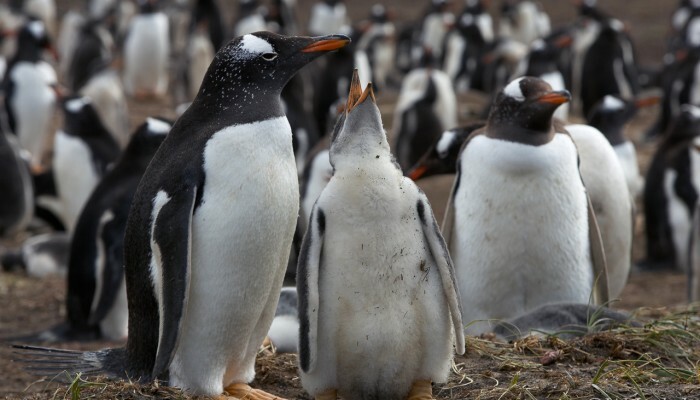 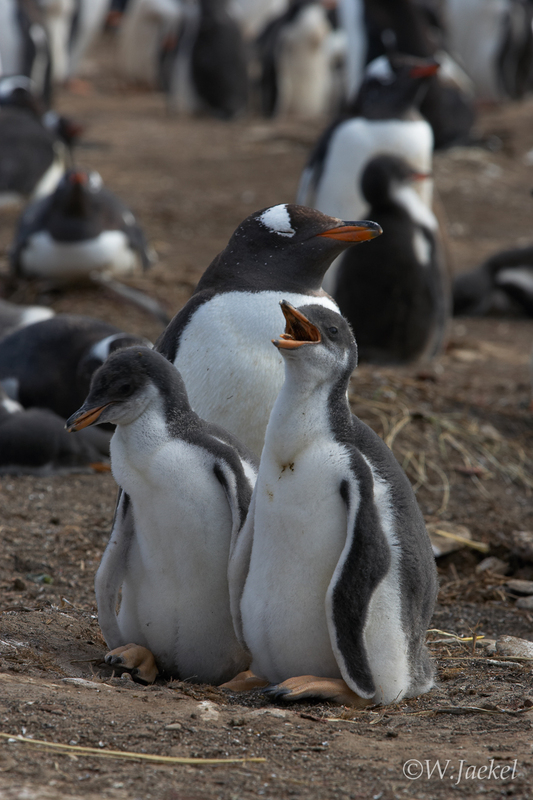 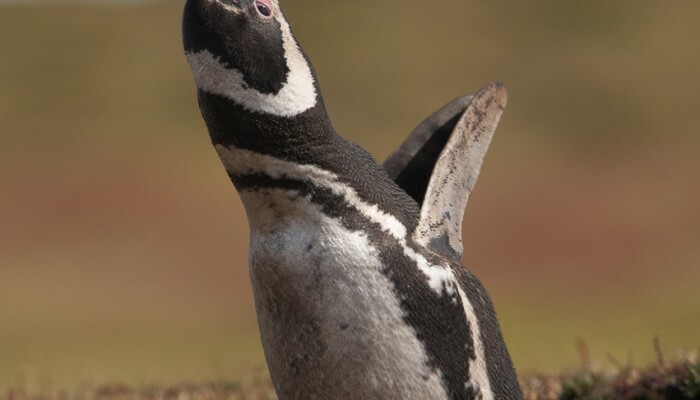 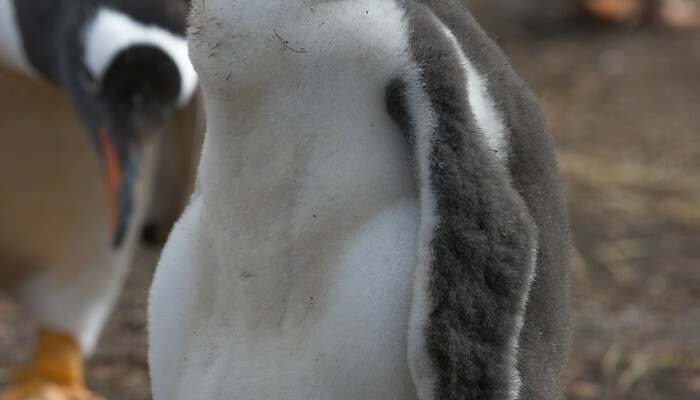 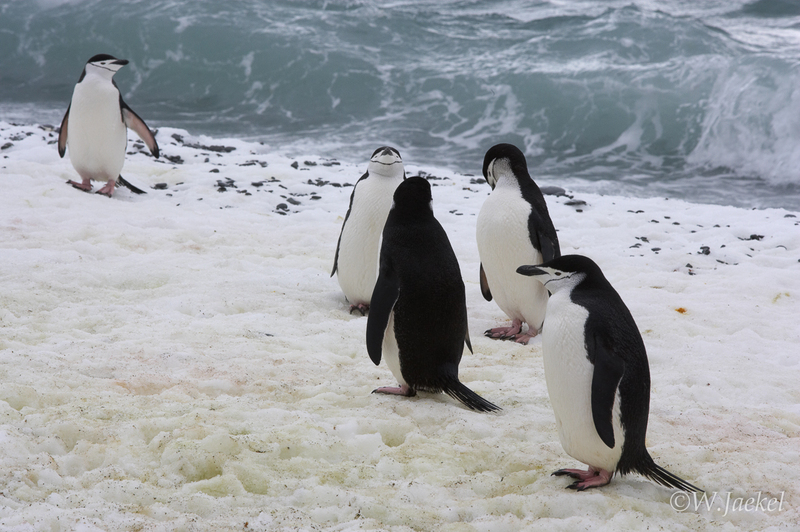 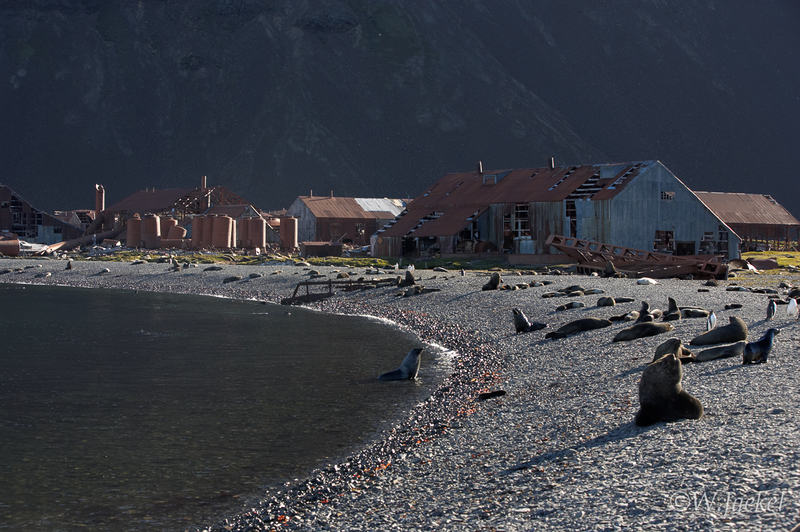 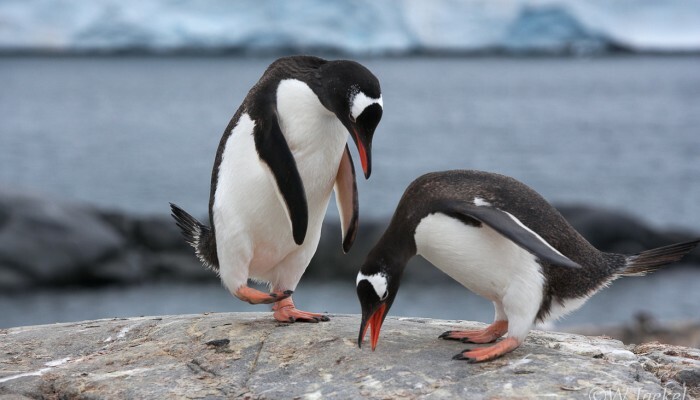 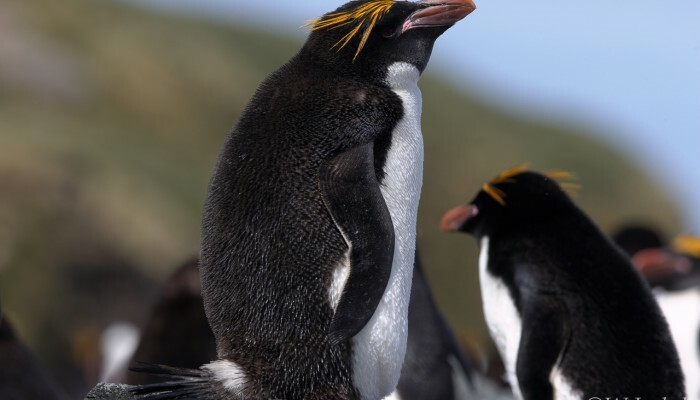 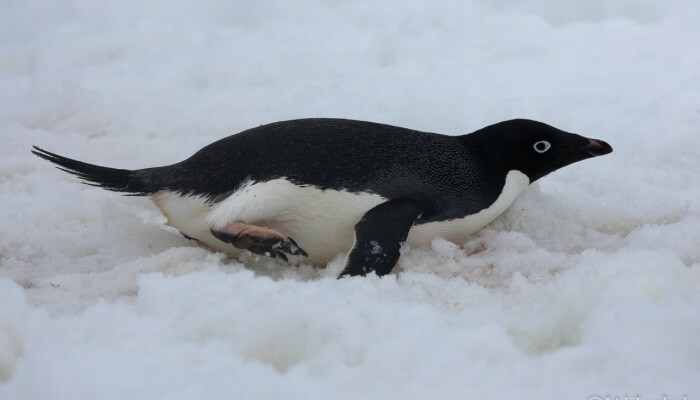 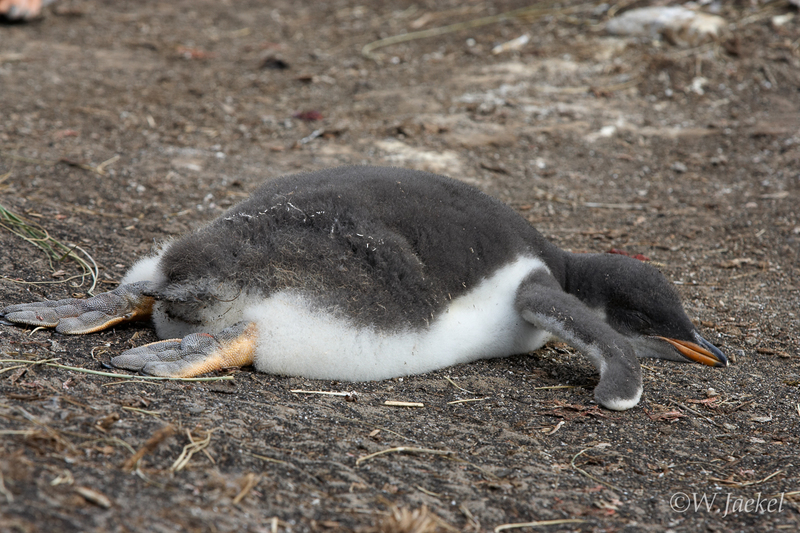 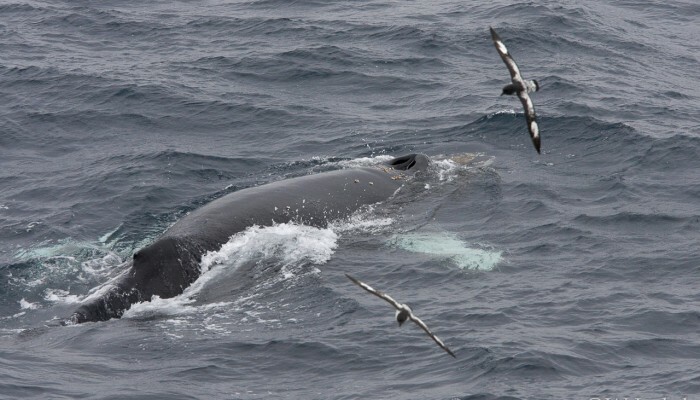 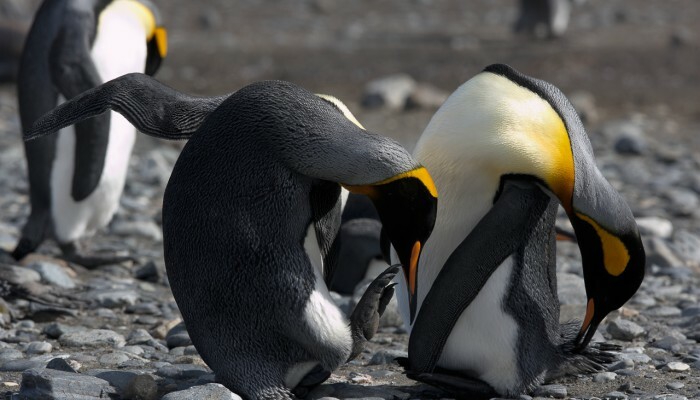 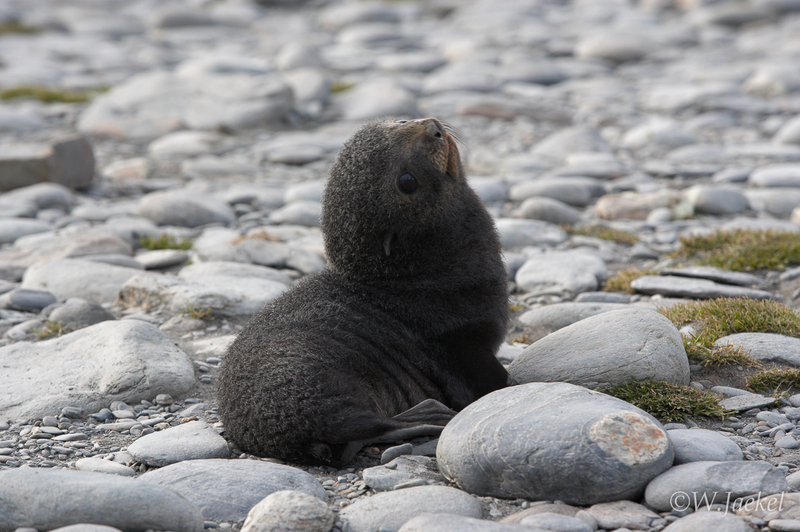 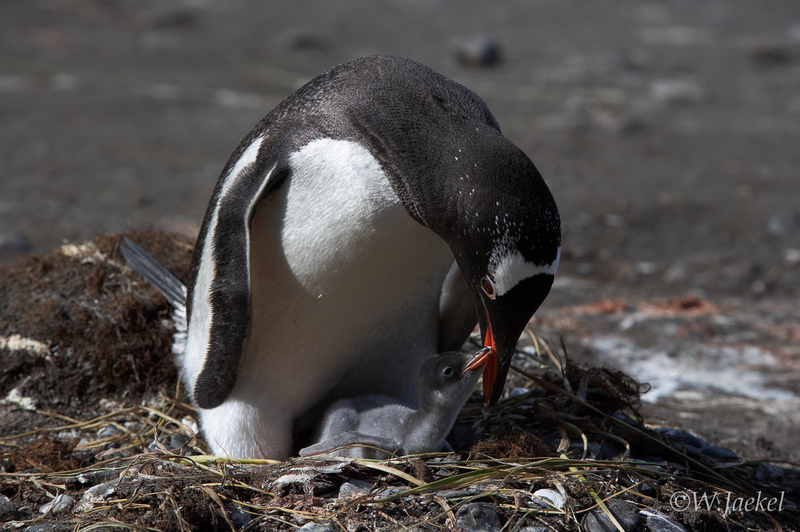 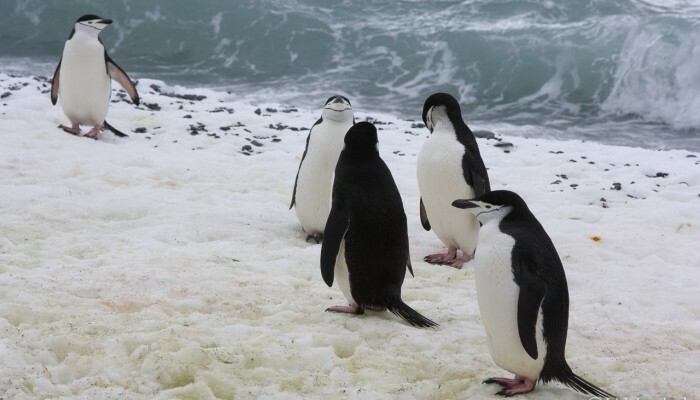 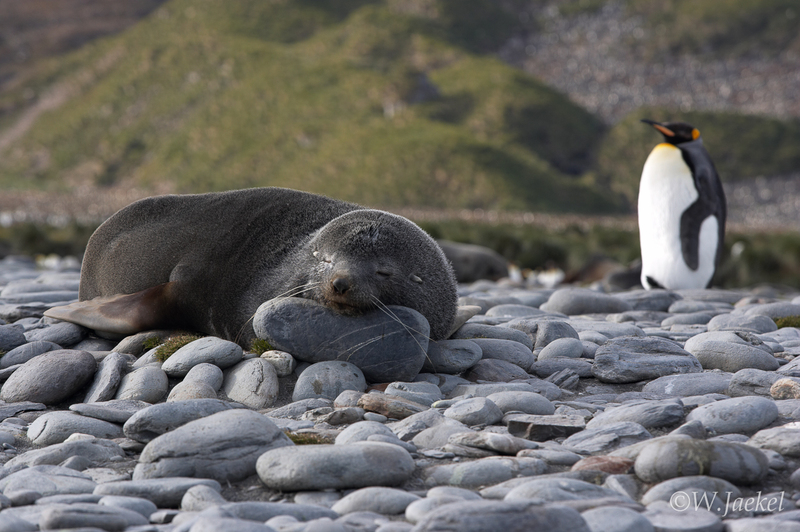 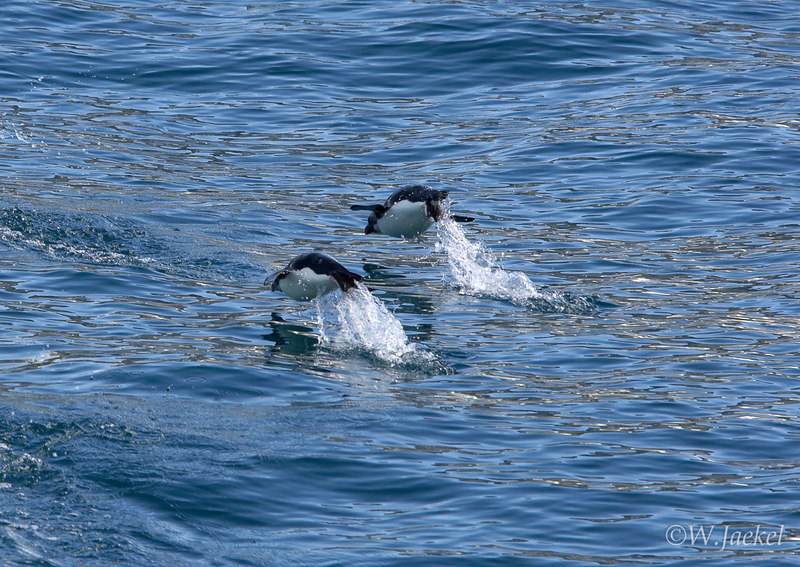 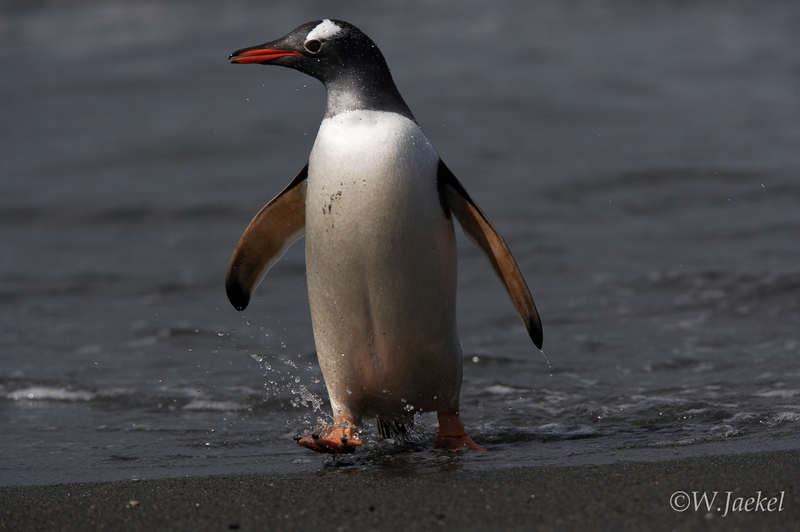 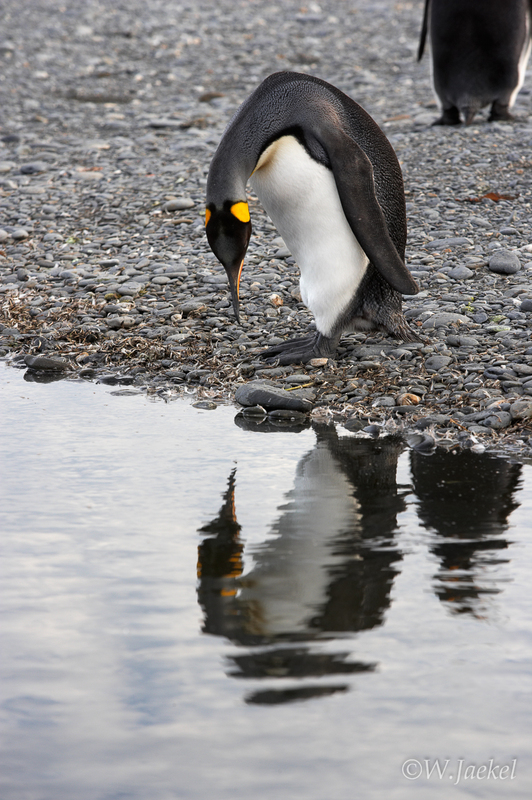 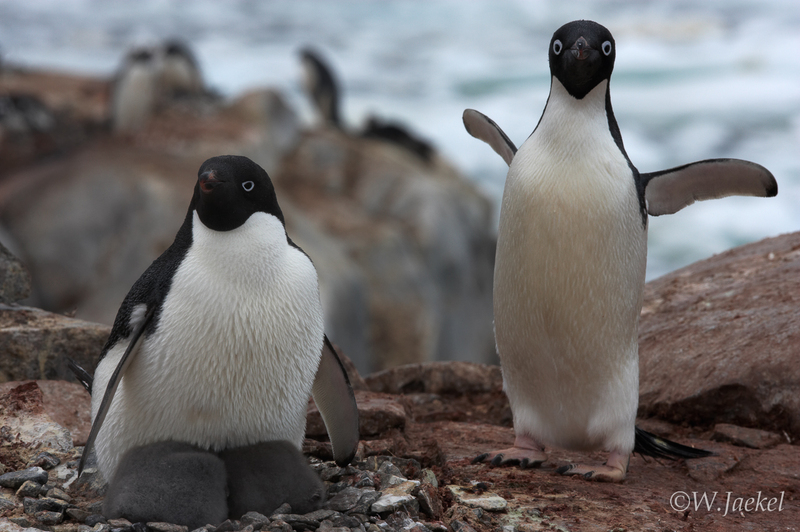 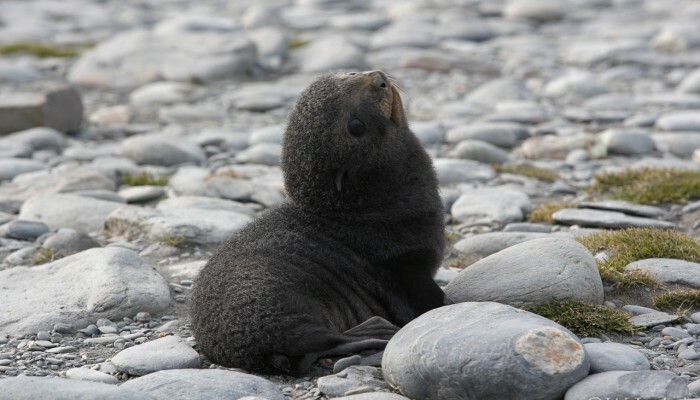 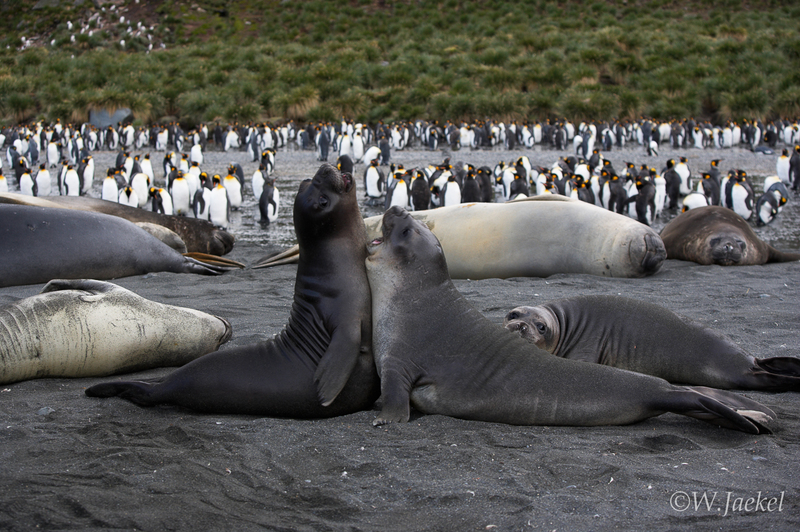 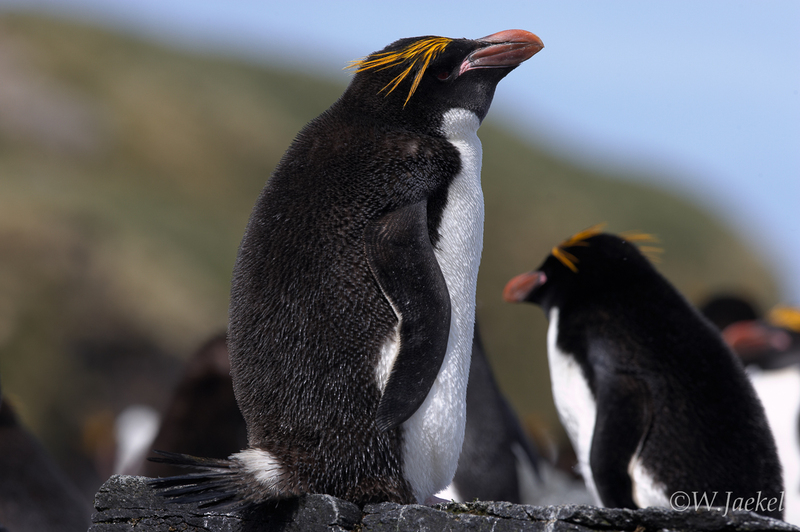 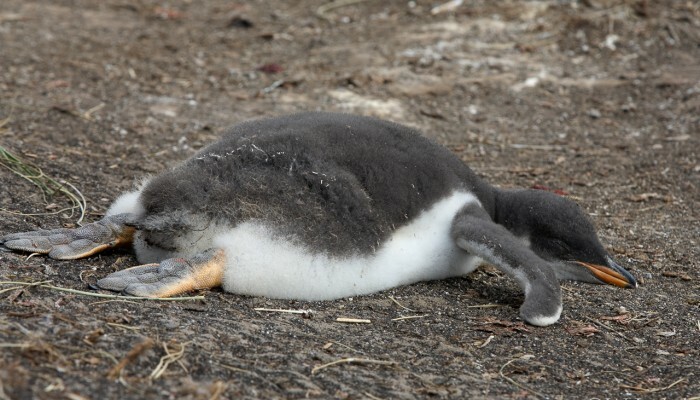 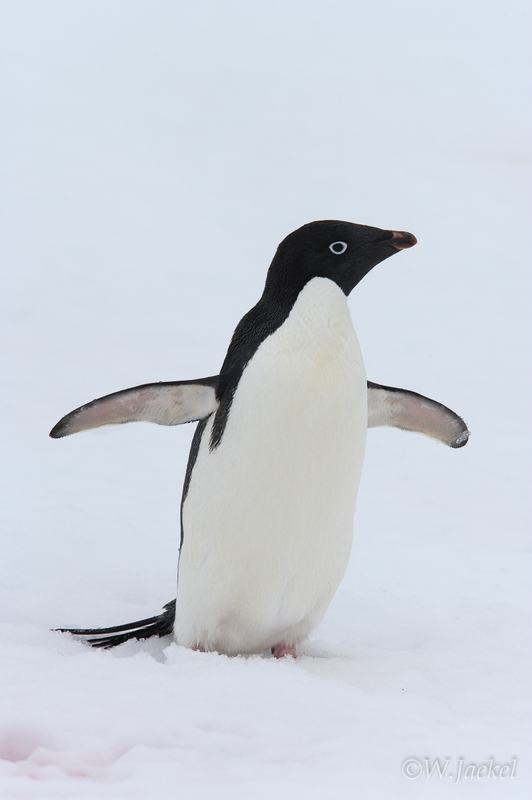 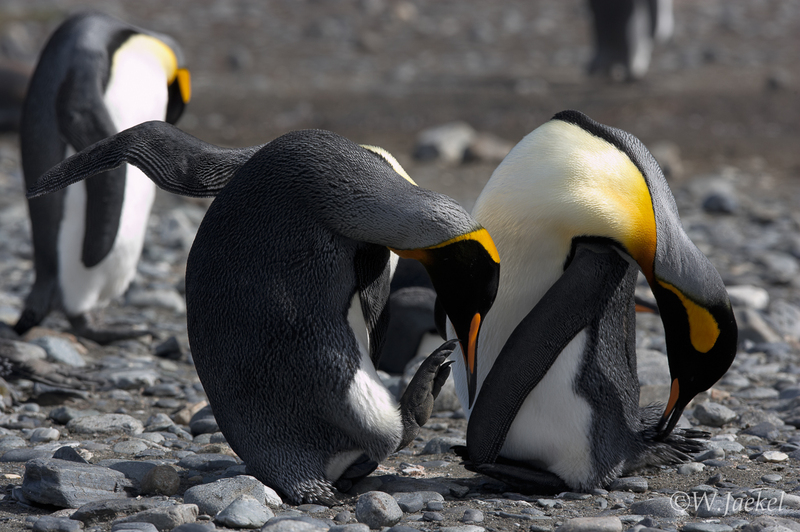 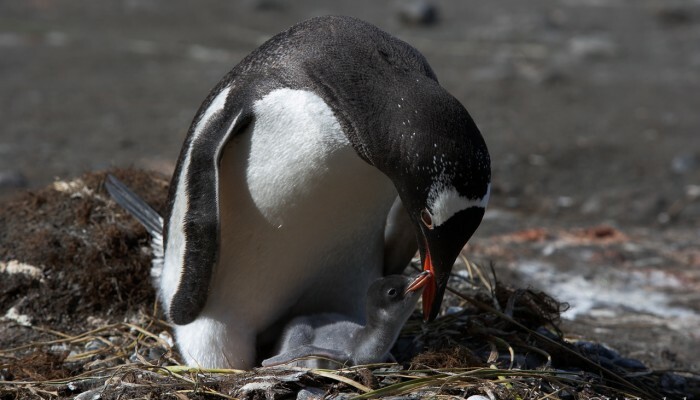 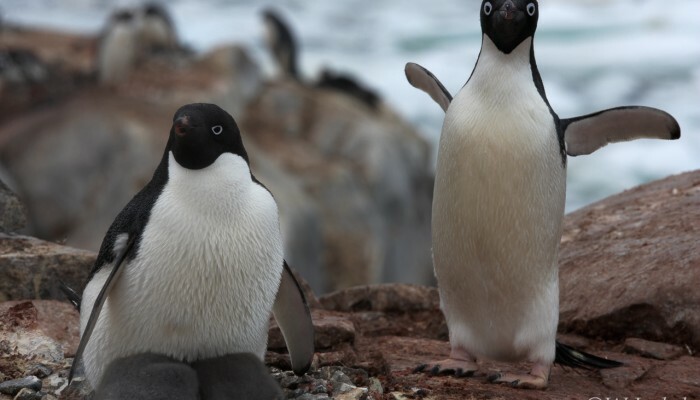 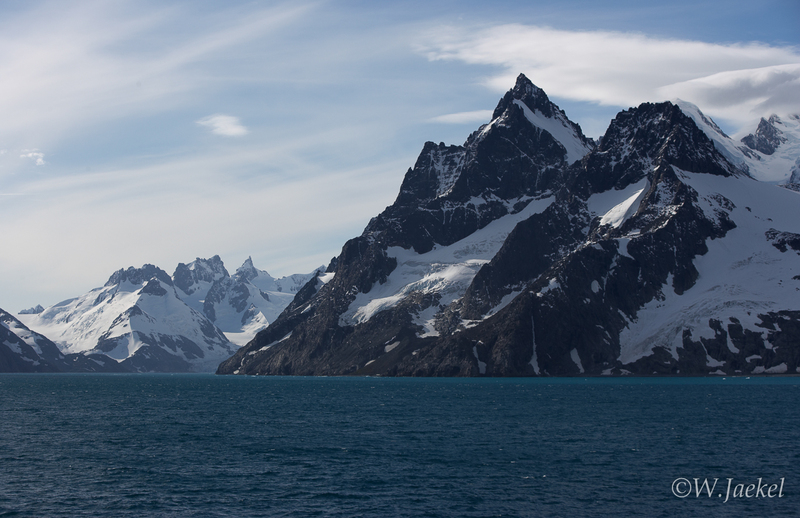 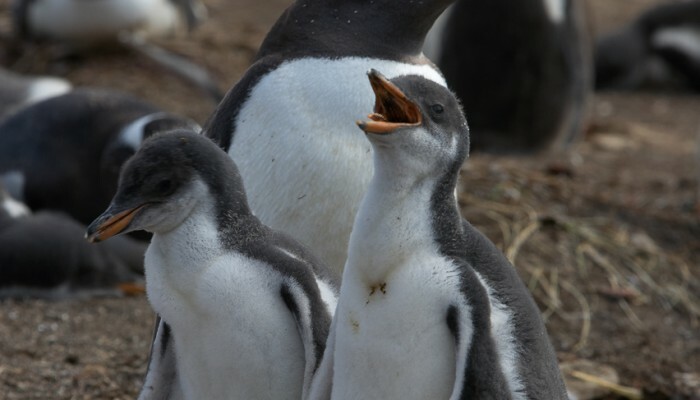 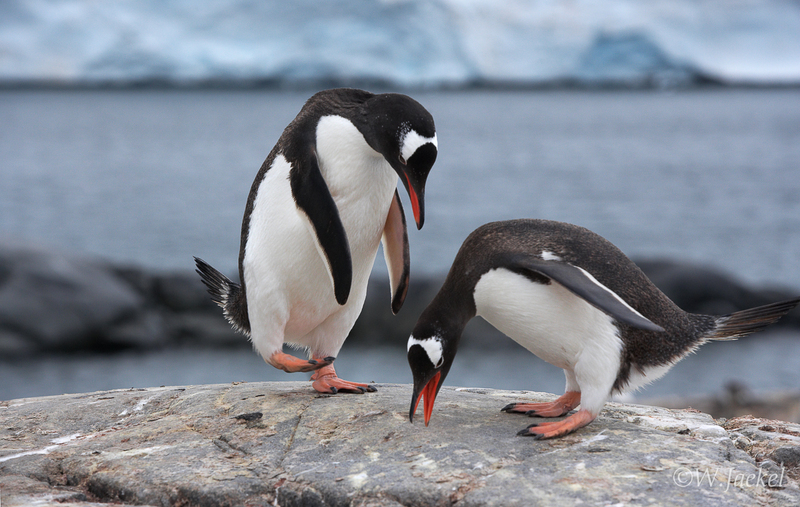 Gentoo, Chinstrap and Macaroni Penguins as well as various seals are abundant too. 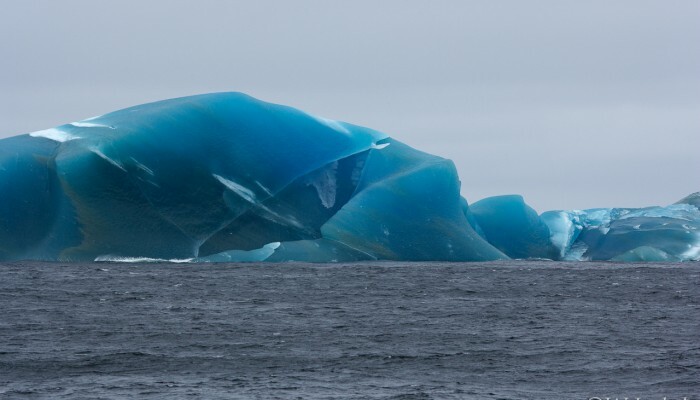 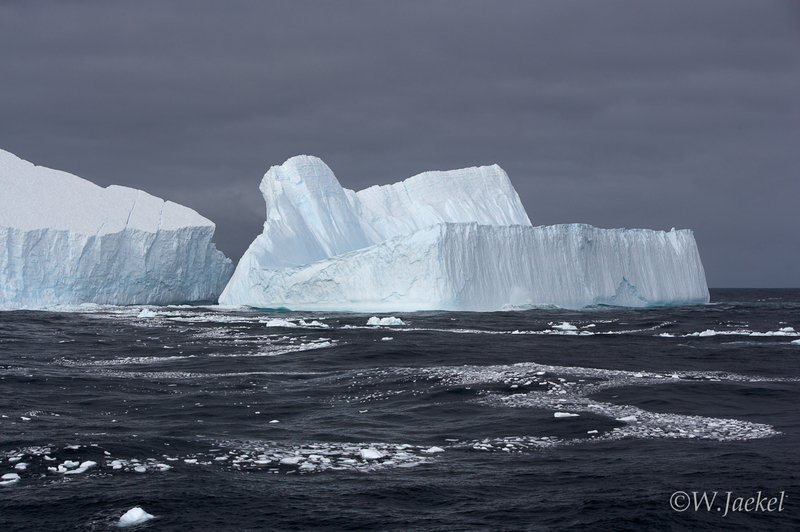 Passing huge icebergs we followed Shackleton’s route to Elephant Island and the South Shetlands before reaching the Antarctic Peninsula with its spectacular ice formations. 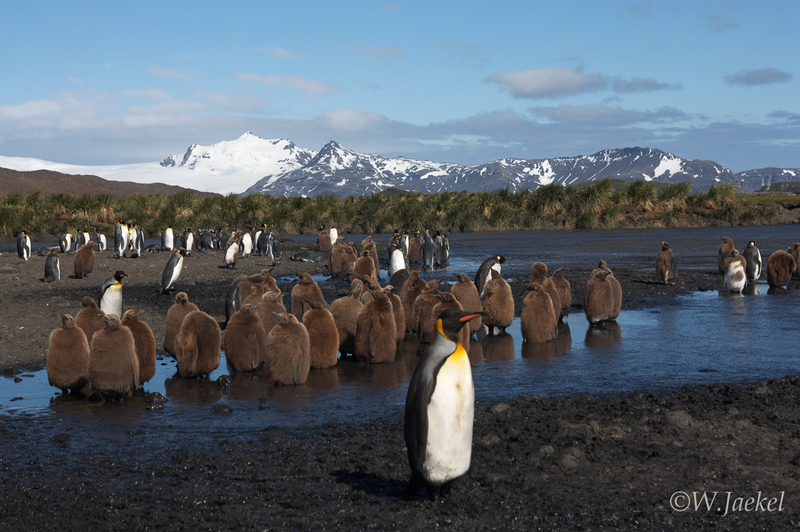 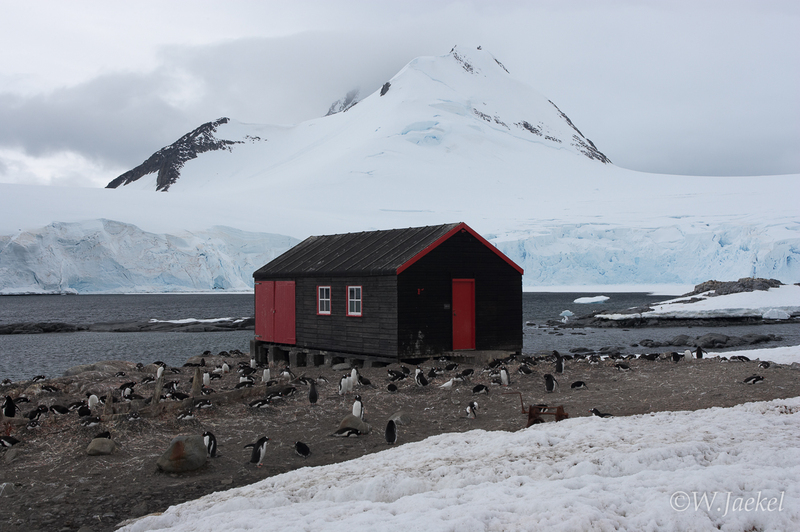 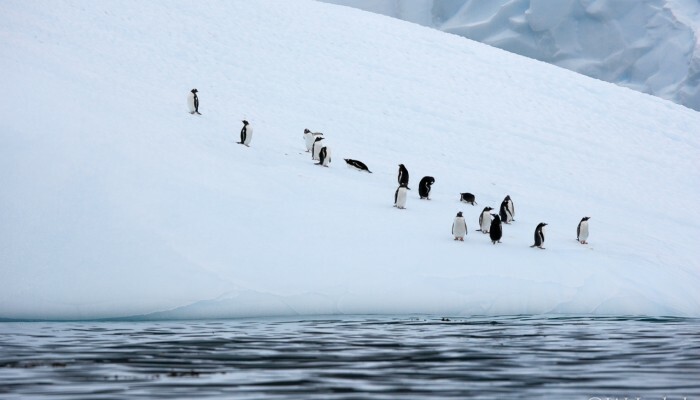 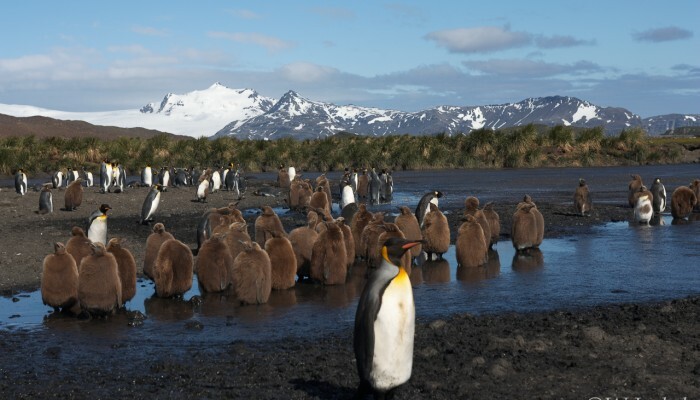 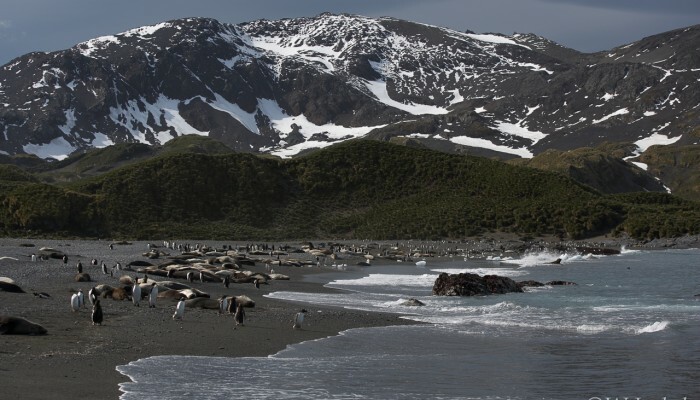 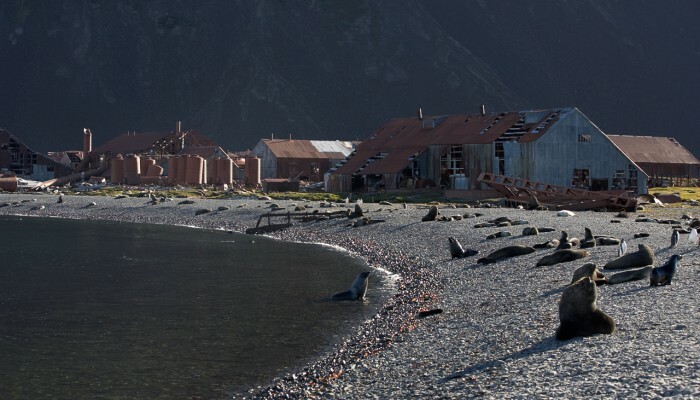 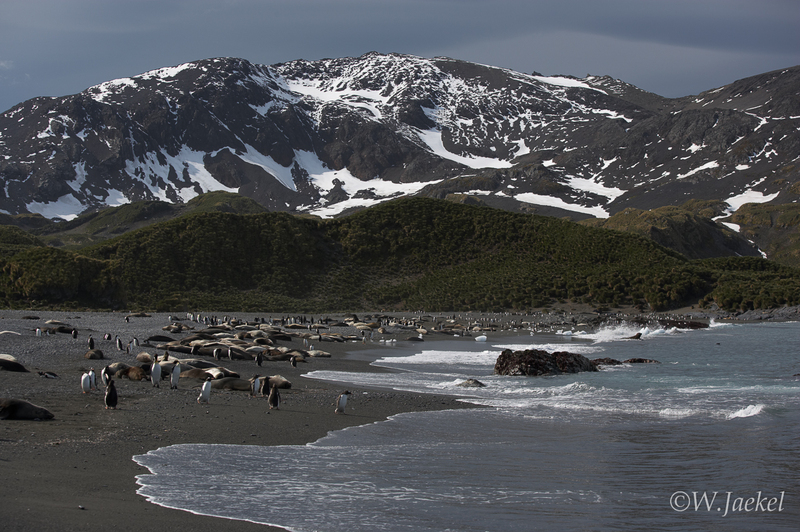 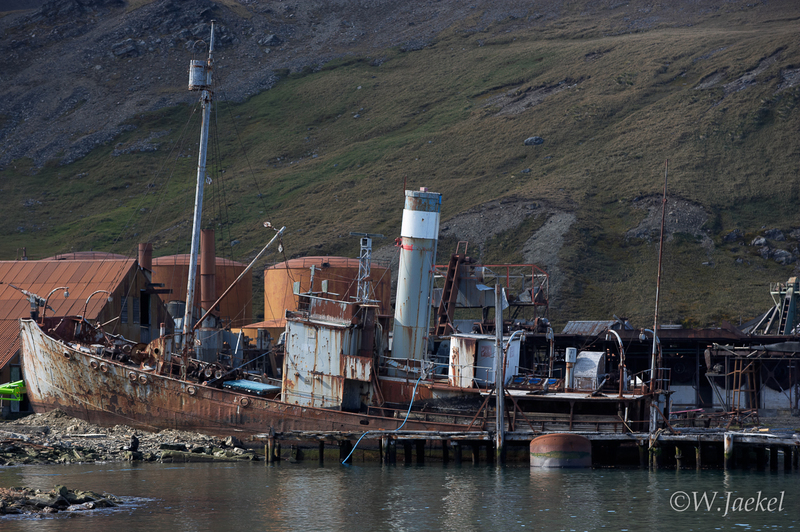 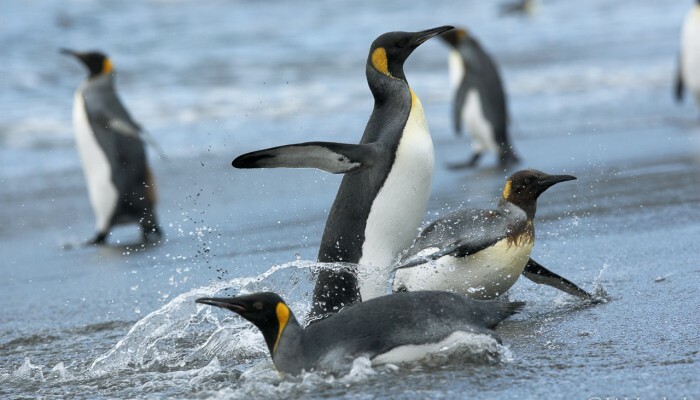 We set foot on the famous Paradise Bay and other localities along the shorelines of the Lemaire Channel where we encountered Adelie Penguins, Shags and whales. 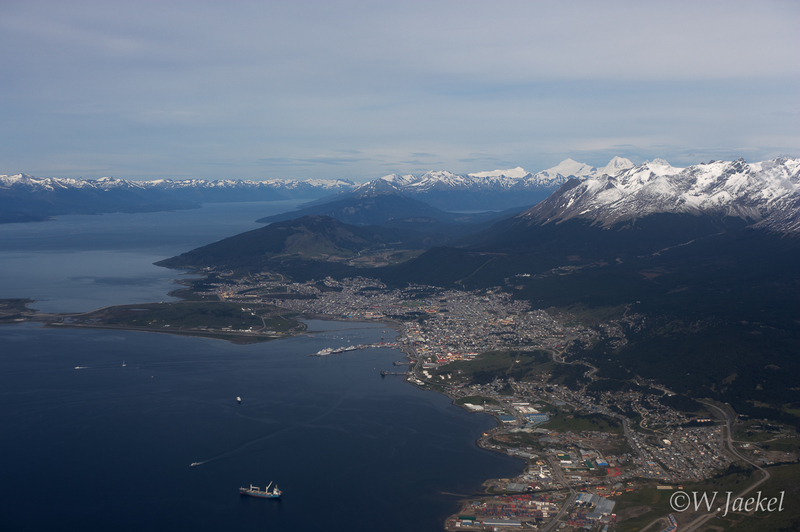 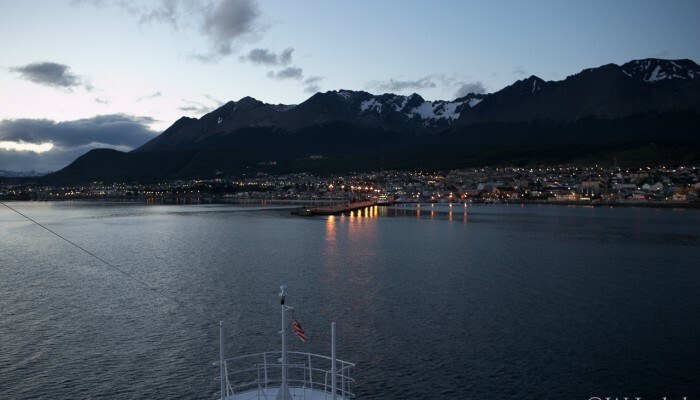 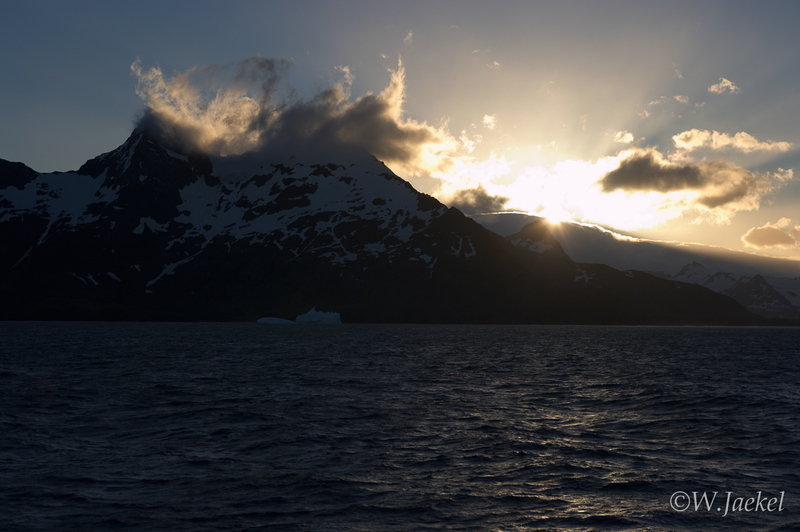 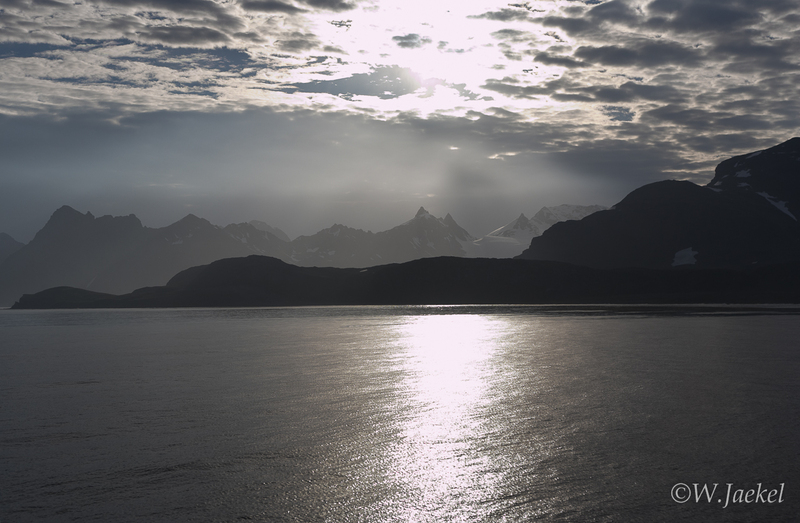 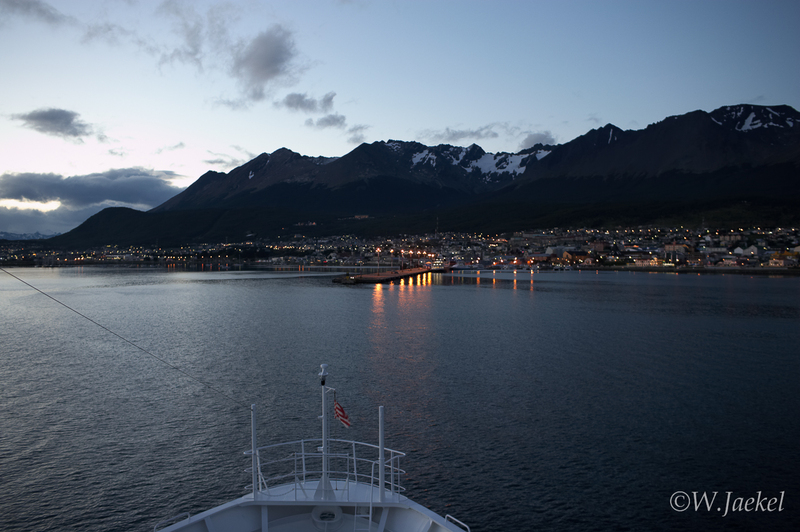 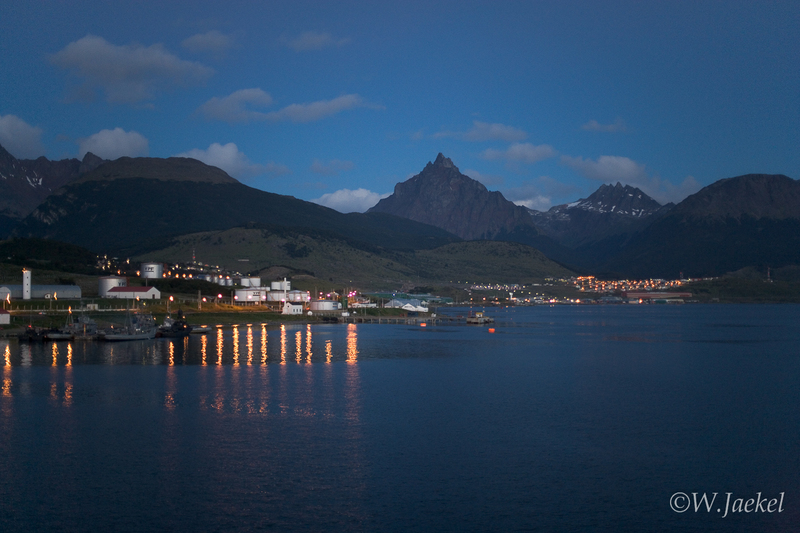 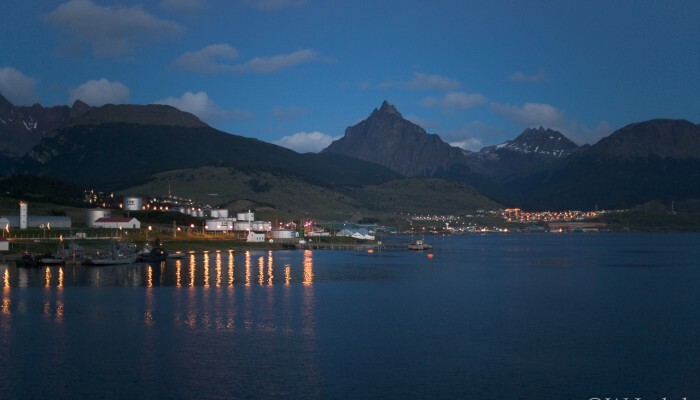 Back across the famous Drake Passage we disembarked in Ushuaia. 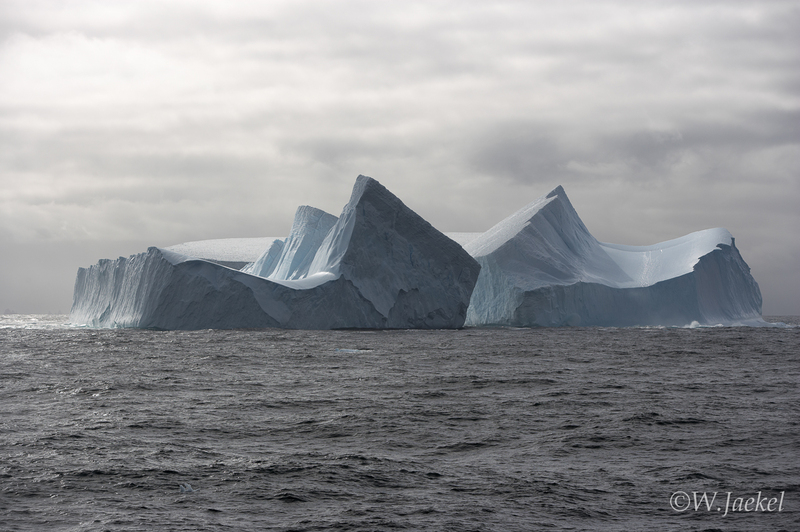 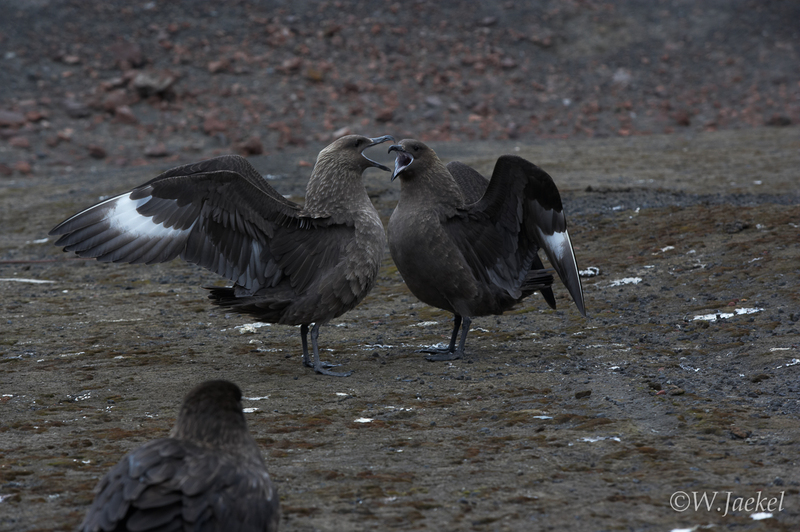 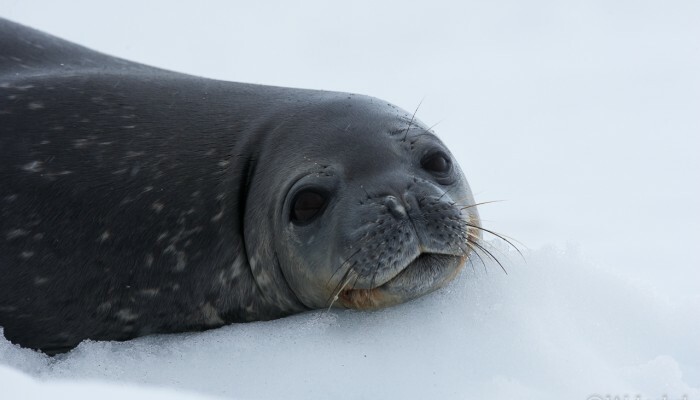 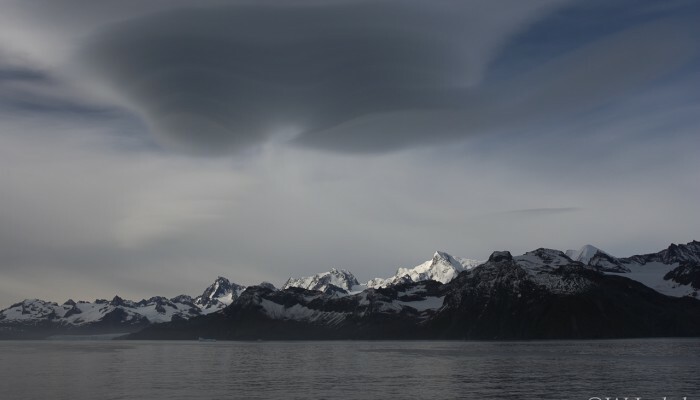 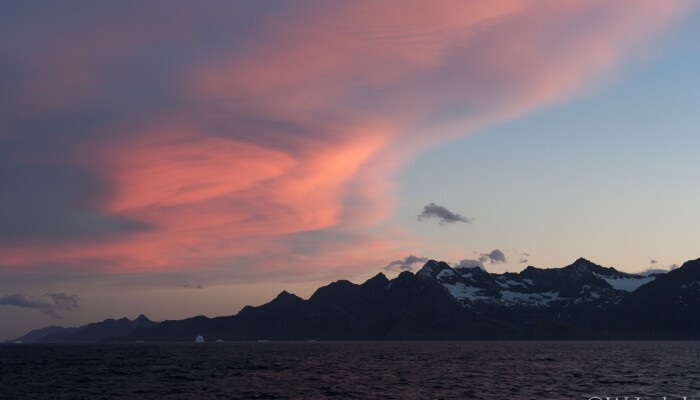 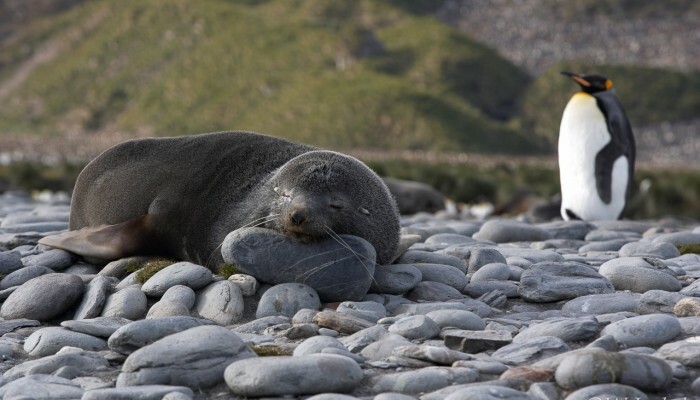 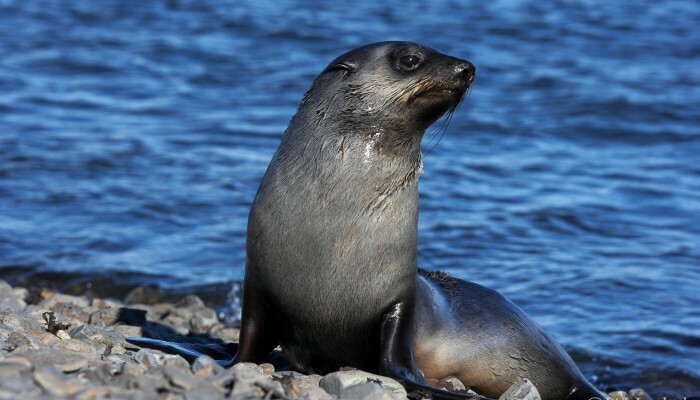 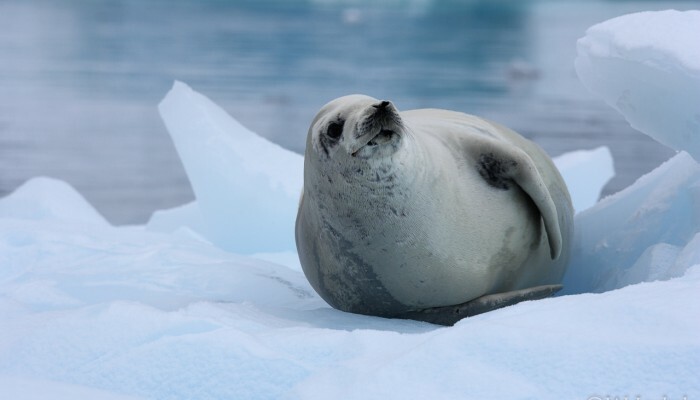 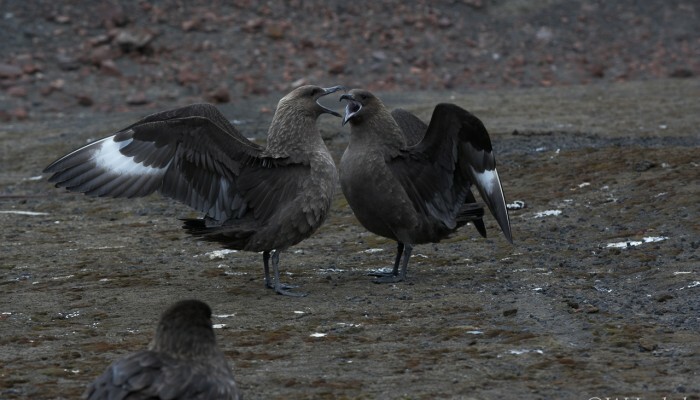 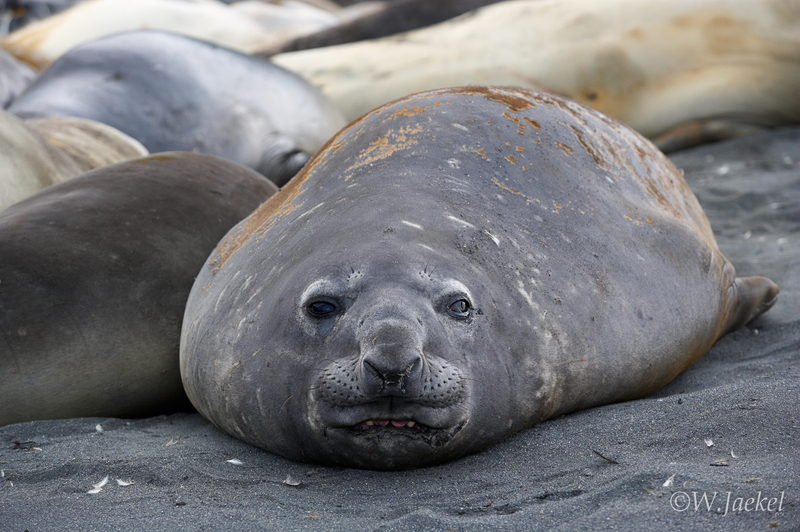 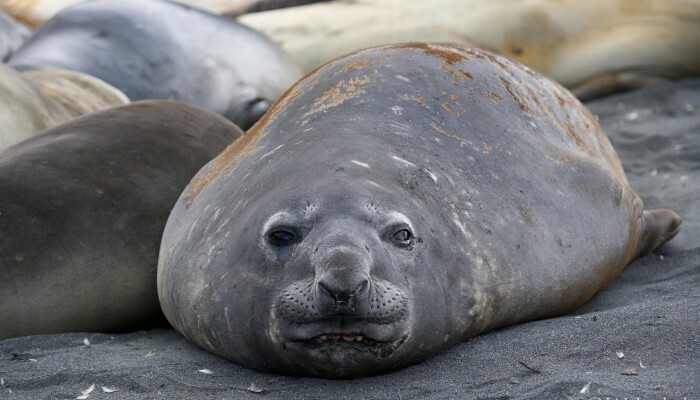 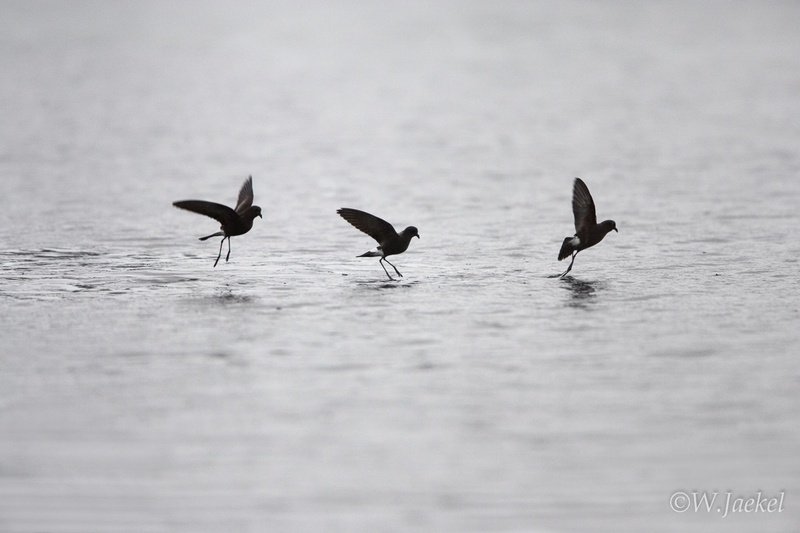 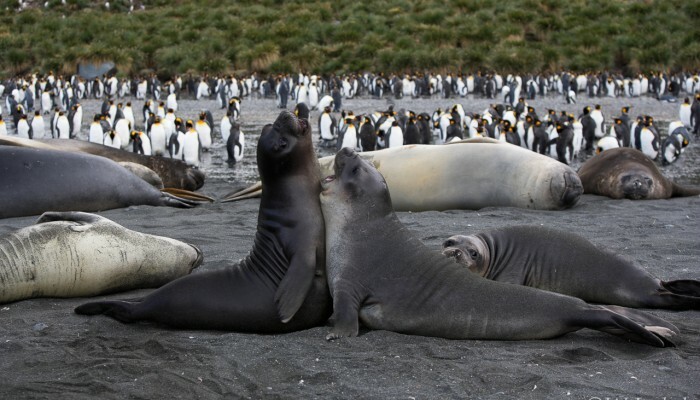 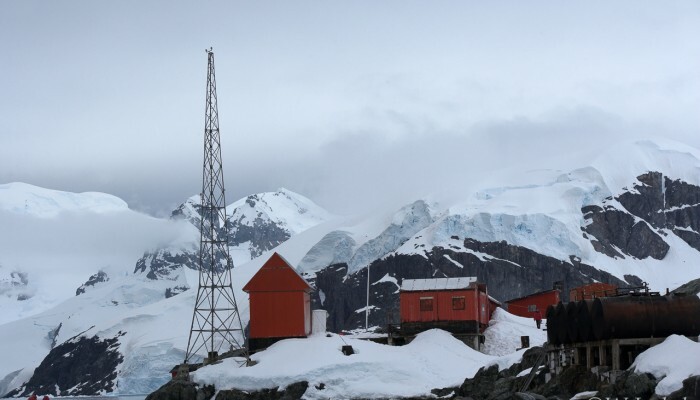 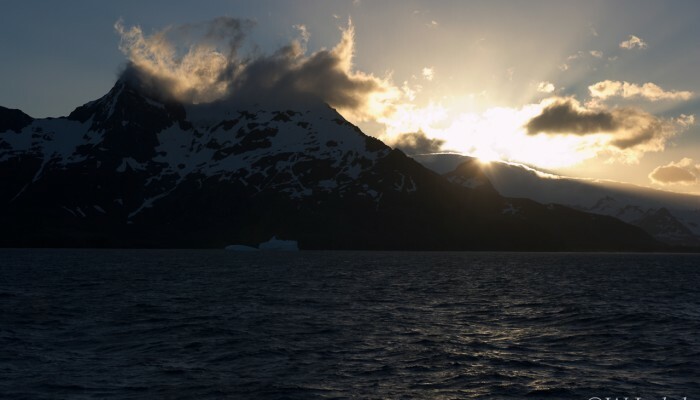 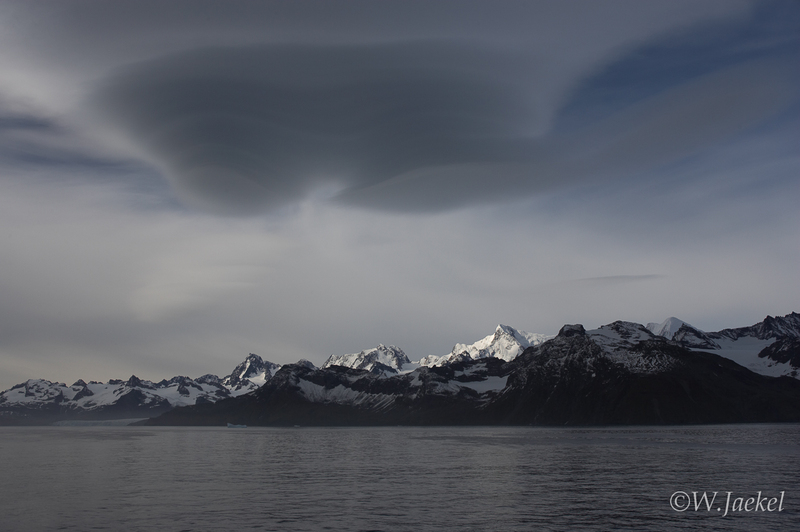 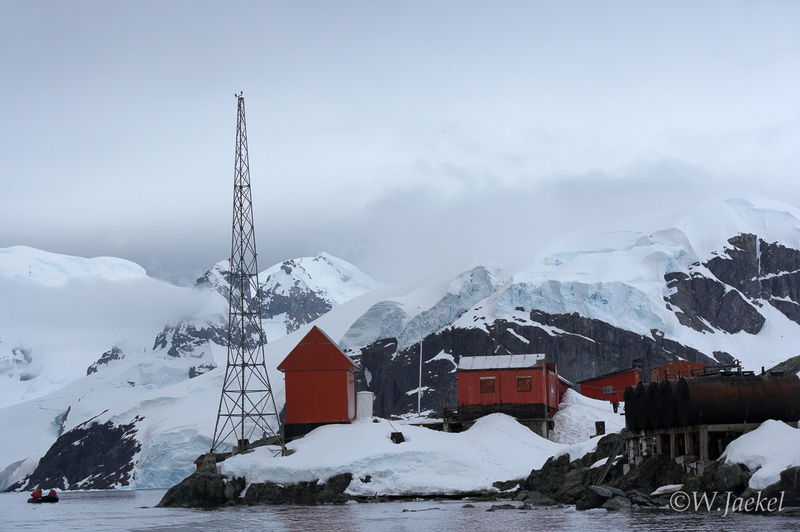 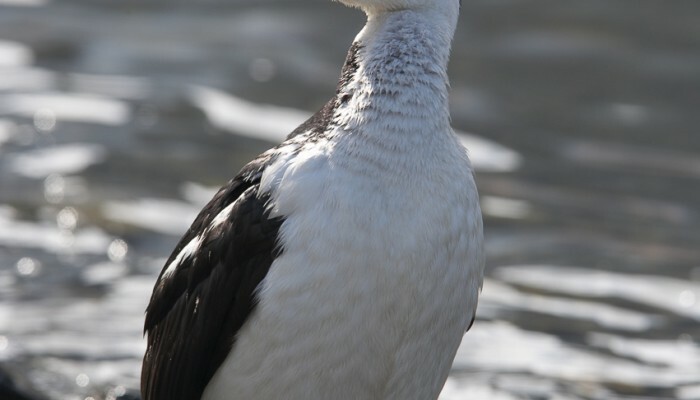 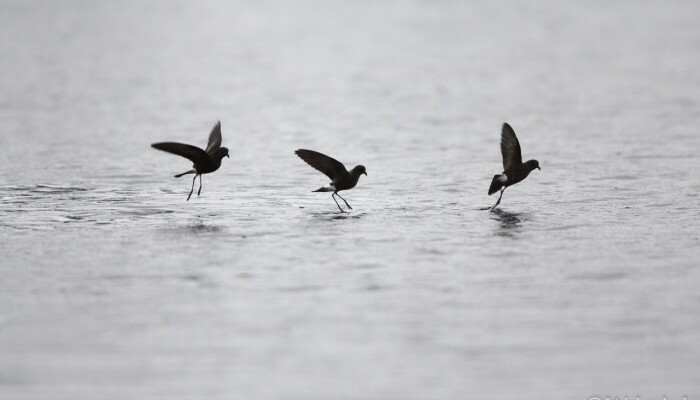 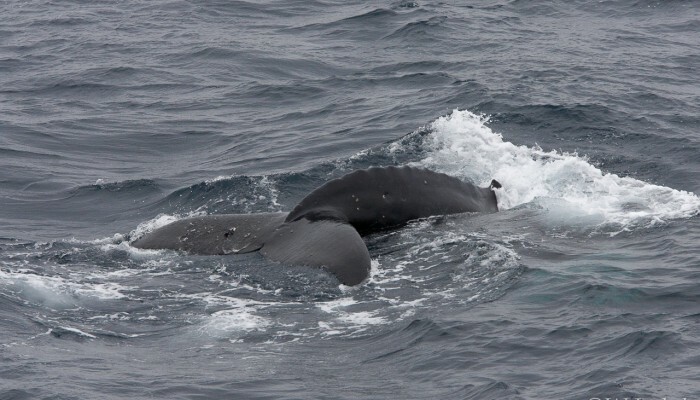 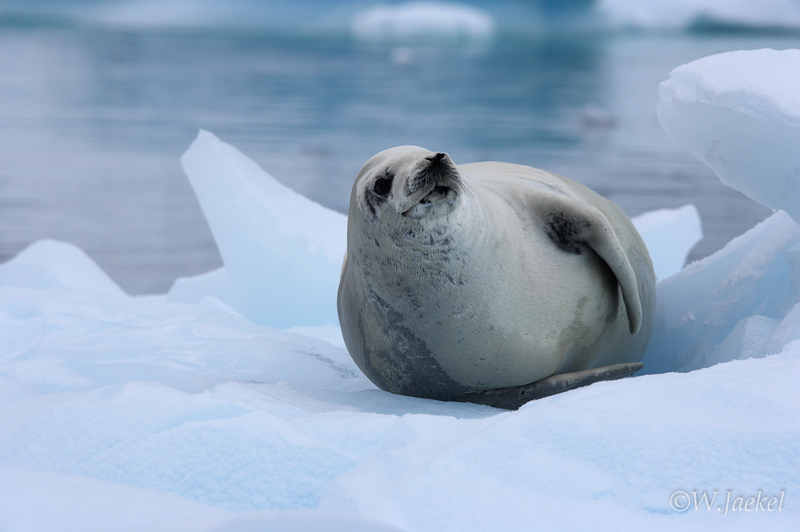 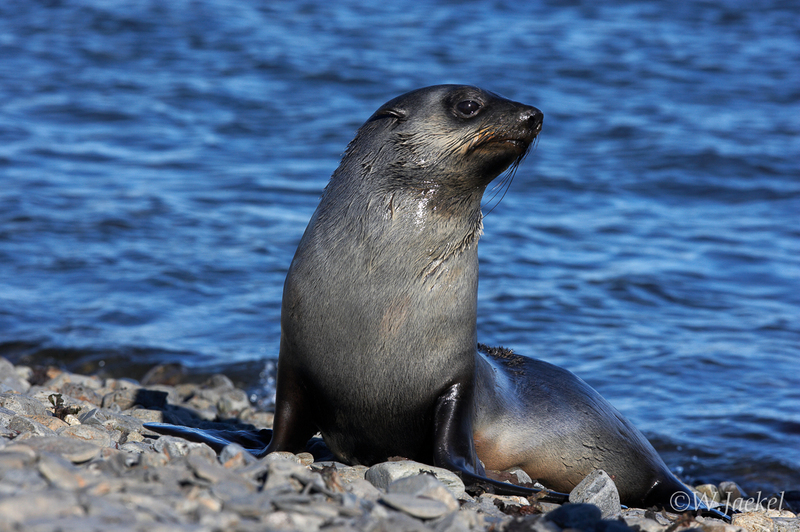 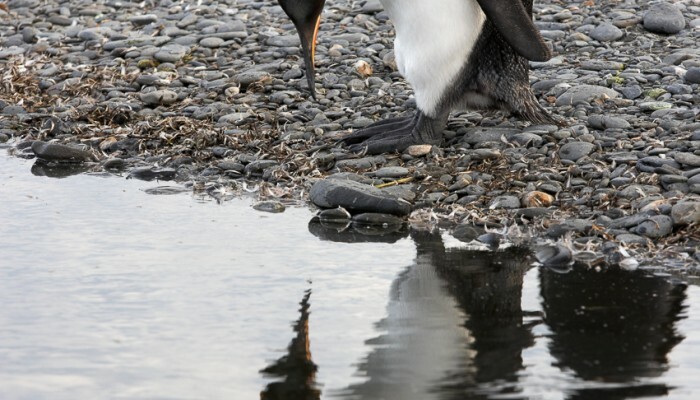 Serious Photography on regular Antarctic cruises often differs from taking pictures elsewhere since you’re closely faced with a huge abundance of wildlife but you have to get the best motifs in the pretty limited time you’re allowed to go ashore. 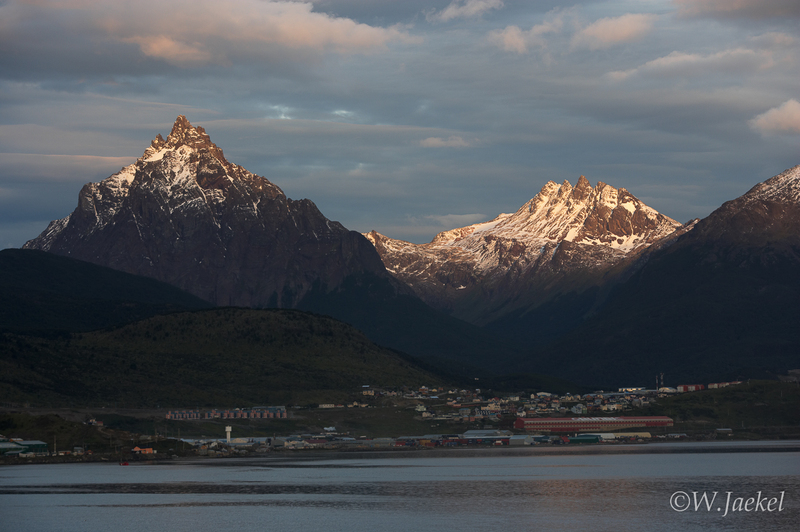 I returned from the trip with more than 10000 photos, which mostly had been taken with f2.8/28-70L, f2-8/70-200L and 2.8/300L lenses (some with 1,4 converter) using Canon 1DsMk2 and 1DMK2 Digital Cameras. 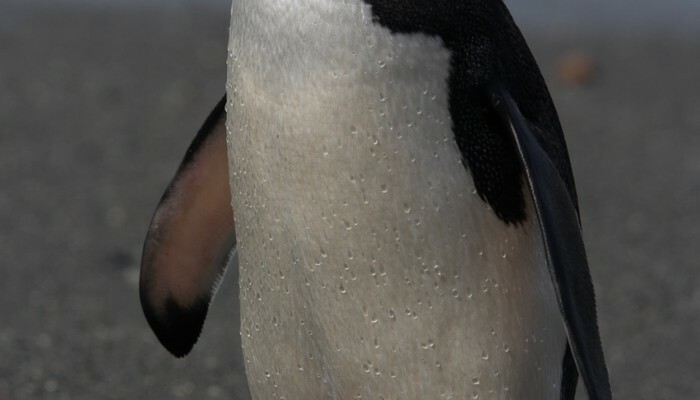 In addition I used Fujichrome Provia 100F for my Canon 1V film body. 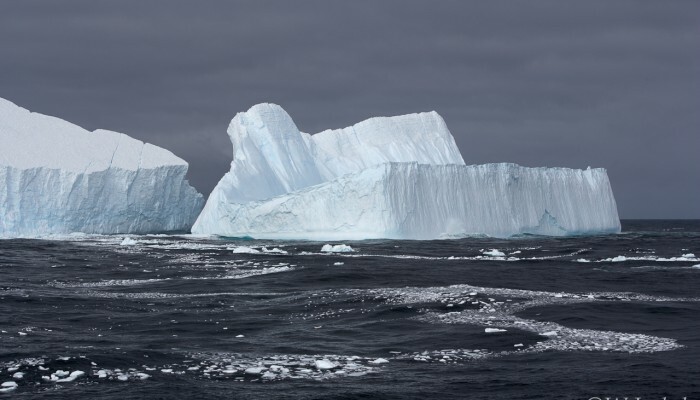 First sight of icebergs - some hundred kilometers west of South Georgia ! 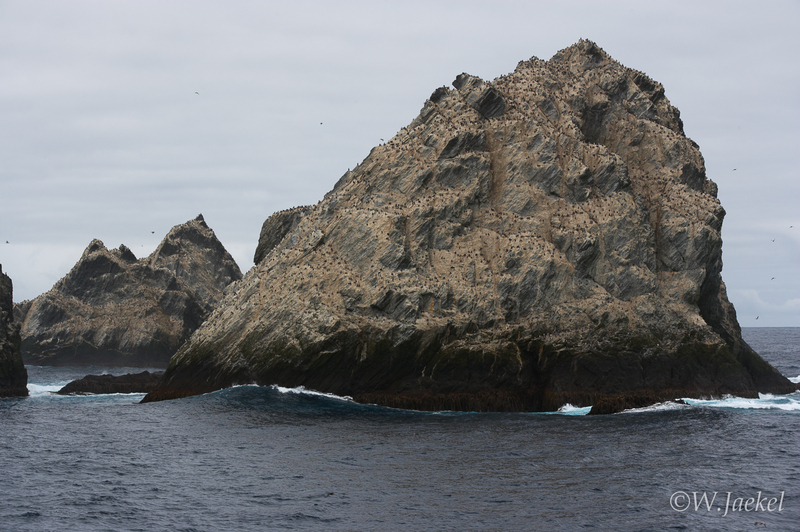 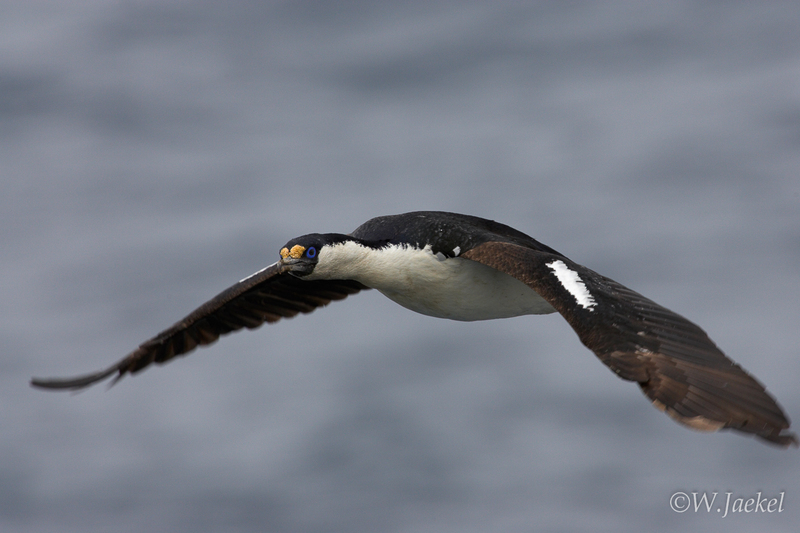 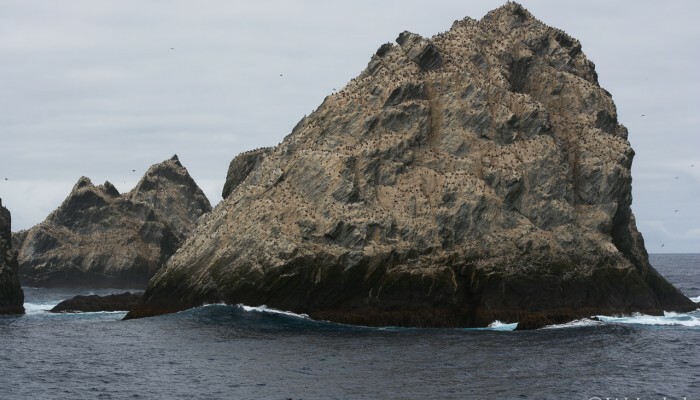 Shag rocks - the smallest of the subantarctic islands with 2000 pairs of South Georgian Shags nesting there.